Alexander Valley Vineyards: 2015 Estate Alexander Valley Cabernet Sauvignon $32. 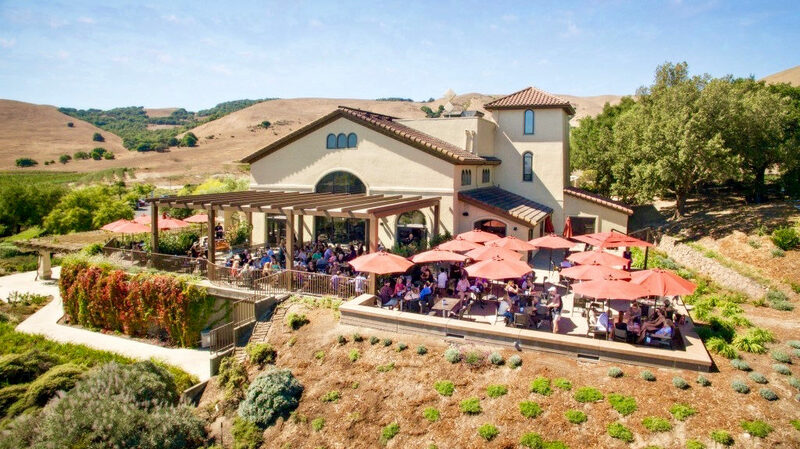 Amapola Creek Vineyards & Winery: 2014 Sonoma Valley Cabernet Sauvignon $90. Bucher Wines: 2016 Bucher Vineyard Russian River Valley Pinot Noir $40. Carol Shelton Wines: 2014 Florence Vineyard Dry Creek Valley Petite Sirah $40. Clos du Bois: 2014 Briarcrest Alexander Valley Cabernet Sauvignon $60 and 2014 Alexander Valley Marlstone Red Blend $60. deLorimier Winery: 2014 Dry Creek Valley Cabernet Sauvignon $58. Ektimo Vineyards: 2014 Russian River Valley Pinot Noir $32. Forefathers: 2015 Lone Tree Vineyard Alexander Valley Cabernet Sauvignon $65. Francis Ford Coppola Winery: 2015 Francis Coppola Nimble Vineyard Reserve Dry Creek Valley Syrah $38. Freeman Winery: 2015 Akiko’s Cuvée Sonoma Coast Pinot Noir $72. Gehricke Wines: 2015 Russian River Valley Zinfandel $30. Keller Estate: 2014 El Coro Sonoma Coast Pinot Noir $55. Knights Bridge Estate: 2015 Knights Valley Cabernet Sauvignon $120. Knuttel Family Winery: 2015 Bill’s Hidden Track Sonoma Coast Pinot Noir $22. 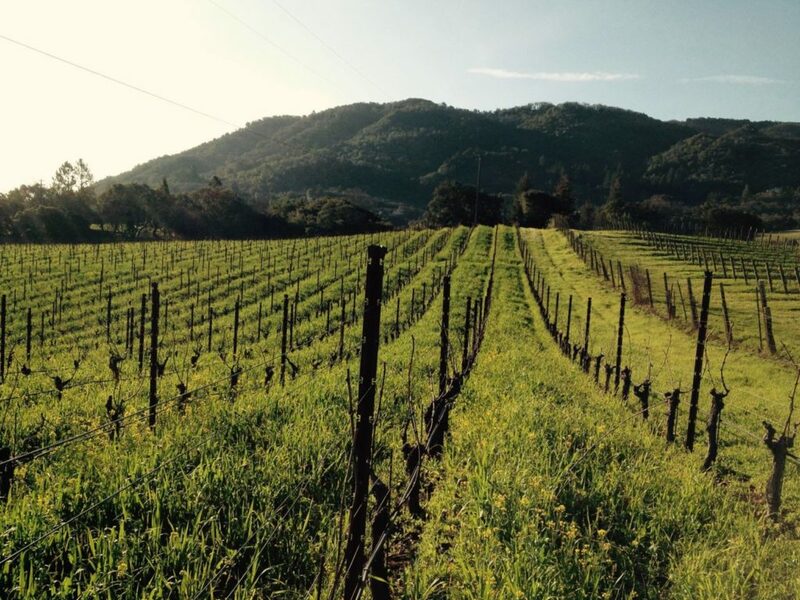 Laurel Glen Vineyard: 2014 Sonoma Mountain Cabernet Sauvignon $75. Mathis Wines: 2015 Mathis Vineyard Sonoma Valley Grenache $32. Muscardini Cellars: 2015 Los Chamizal Vineyards Sonoma Valley Zinfandel $44. Papapietro Perry: 2015 Russian River Valley Pinot Noir $53. Pech Merle Winery: 2015 Dry Creek Valley Zinfandel $23. Pedroncelli Winery: 2015 Estate Block 007 Dry Creek Valley Cabernet Sauvignon $26. Pezzi King Winery: 2015 Harris Kratka Vineyard Reserve Alexander Valley Zinfandel $48. Shane Wines: 2017 Ma Fille Sonoma County Rosé $17. Sidebar Cellars: 2017 Russian River Valley Rosé $21. Siduri Wines: 2015 Parsons’ Vineyard Russian River Valley Pinot Noir $50. St. Anne’s Crossing: 2015 Los Chamizal Vineyards Sonoma Valley Zinfandel $38. 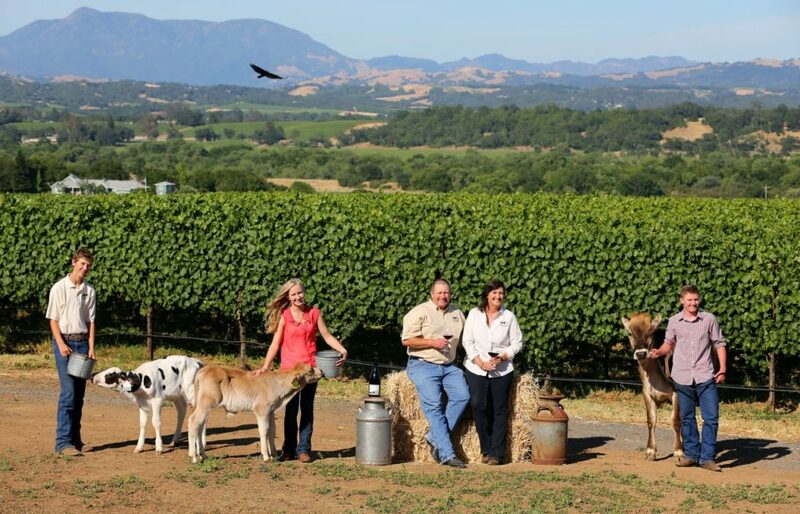 The Meeker Vineyard: 2014 Hoskins Ranch Dry Creek Valley Grenache $38. Thirty-Seven Wines: 2015 Sonoma Coast Grenache $26. Toad Hollow Vineyards: 2017 Eye of the Toad Russian River Valley Dry Rosé of Pinot Noir $14. Trentadue Winery: 2015 La Storia Block 500 Alexander Valley Merlot $28. Wilson Winery: 2015 Sydney Estate Dry Creek Valley Zinfandel $42. 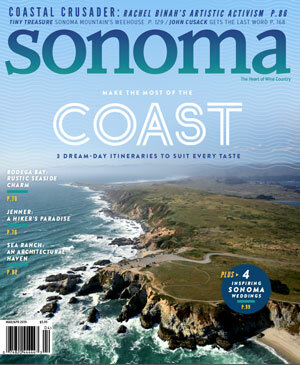 Sonoma Magazine’s annual selection of the “Top 100 Wines of Sonoma” has been announced. 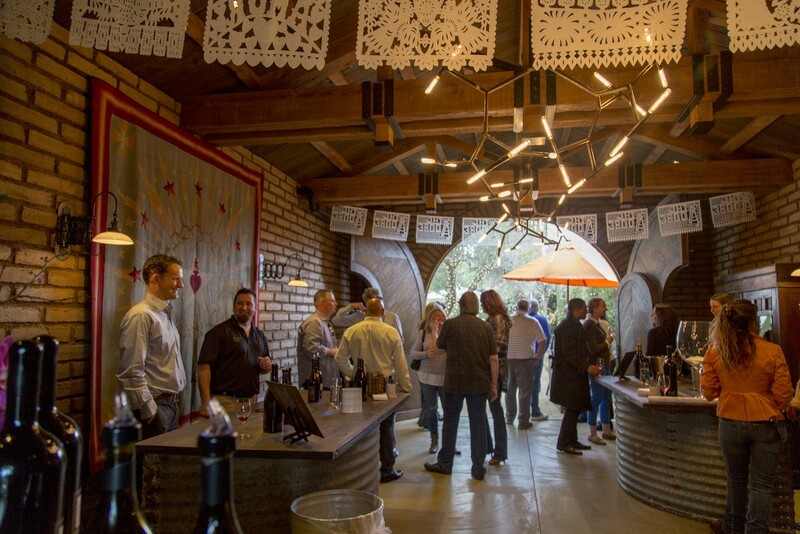 Click through the gallery to see which wines and wineries made the list and read the article below for tasting notes and methodology. A year ago, wildfires ripped through Sonoma County, destroying lives, homes, and businesses. Wine Country became Fire Country in the eyes of the world, yet paradoxically, flames did relatively little damage to local wineries and vineyards. 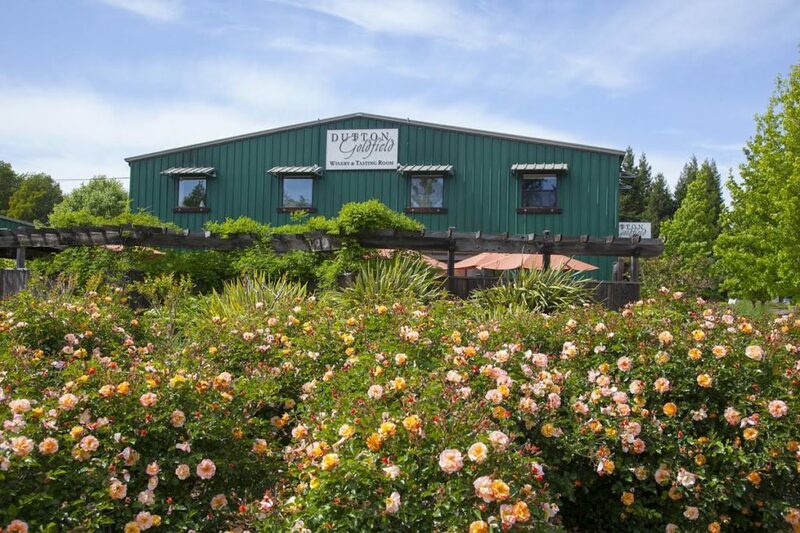 Paradise Ridge Winery, located in Santa Rosa’s Fountaingrove area, was demolished by the Tubbs fire, but this was the worst of it for Sonoma wineries. A few suffered structural damage, which they’ve since repaired. 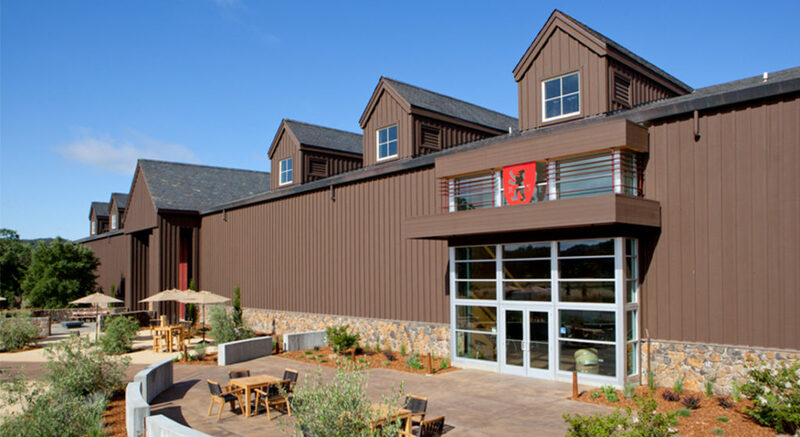 Backfires intentionally set protected many wineries, including Sonoma Valley’s Arrowood Winery, from the conflagration. 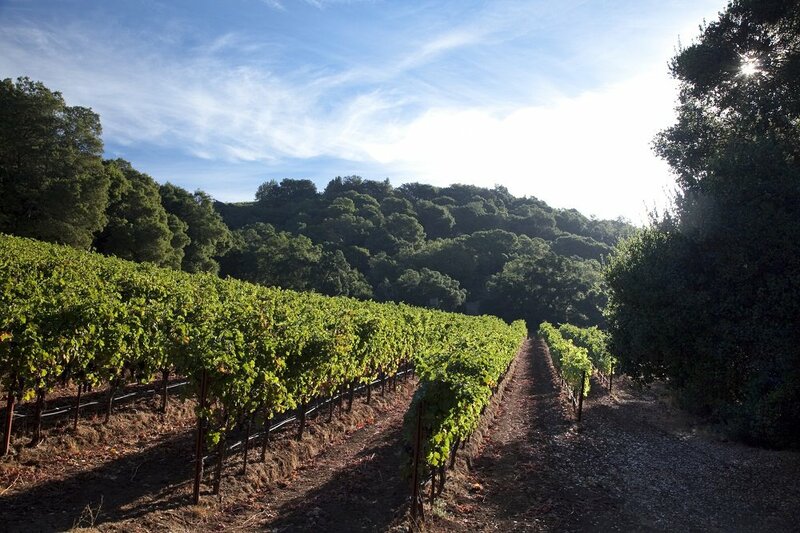 But the major savers of Sonoma wines are the grapevines themselves, living plants with moisture in their veins. They served as natural firebreaks, with flames moving on to easier targets such as trees, brush, and structures. Paradise Ridge is rebuilding, with its LOVE art sculpture standing strong after the fires. 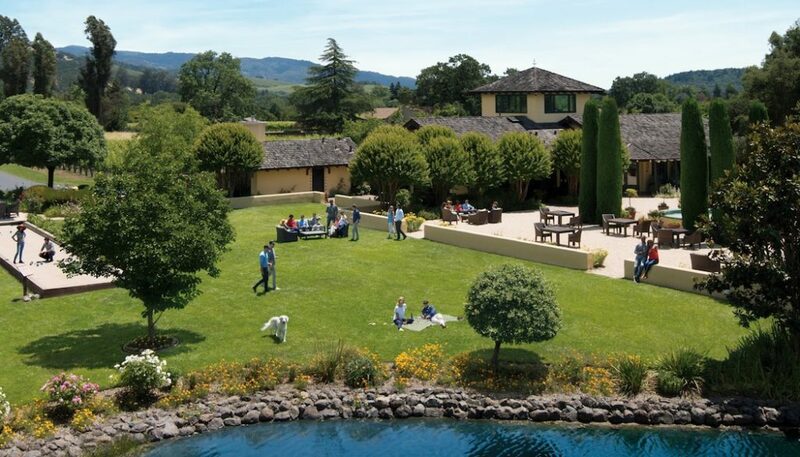 We celebrate that, and all recovery efforts, with this Top 100 Wines list. 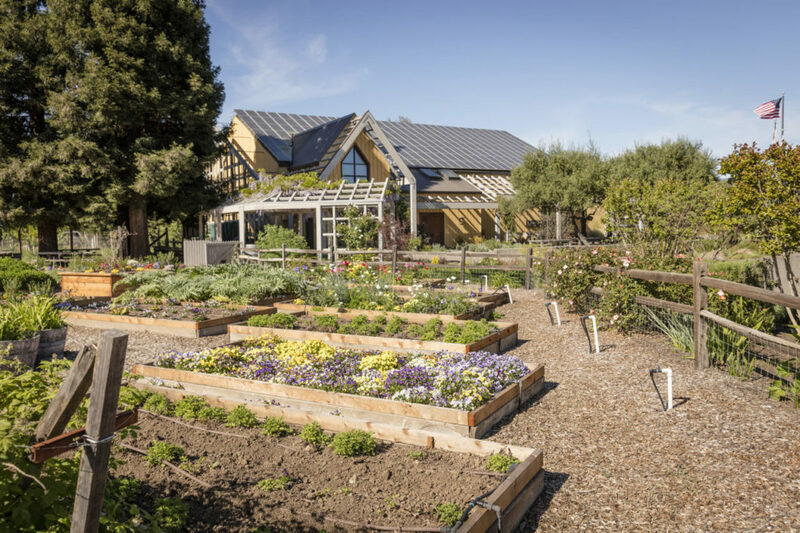 It’s heavy in sparkling wines — to toast Sonoma’s resilient personality — and with plenty of Chardonnays, Sauvignon Blancs, Pinot Noirs, and Zinfandels to please all crowds. 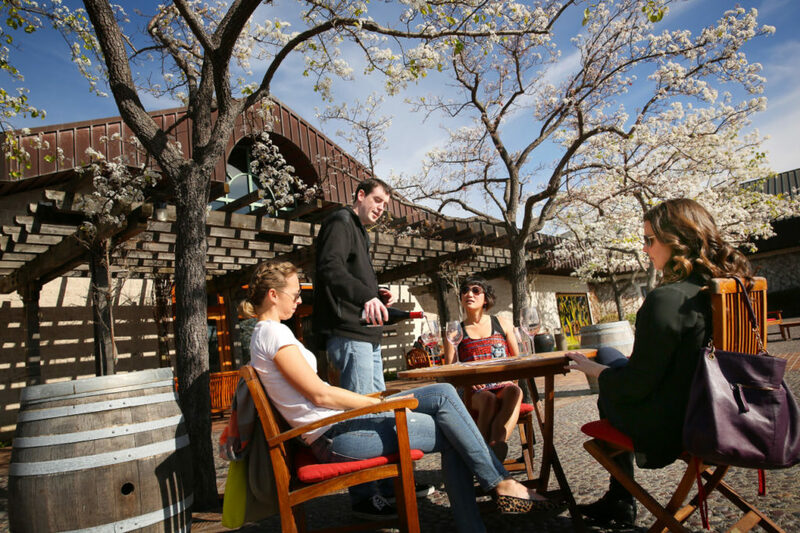 *NCWC refers to The Press Democrat’s 2018 North Coast Wine Challenge competition. 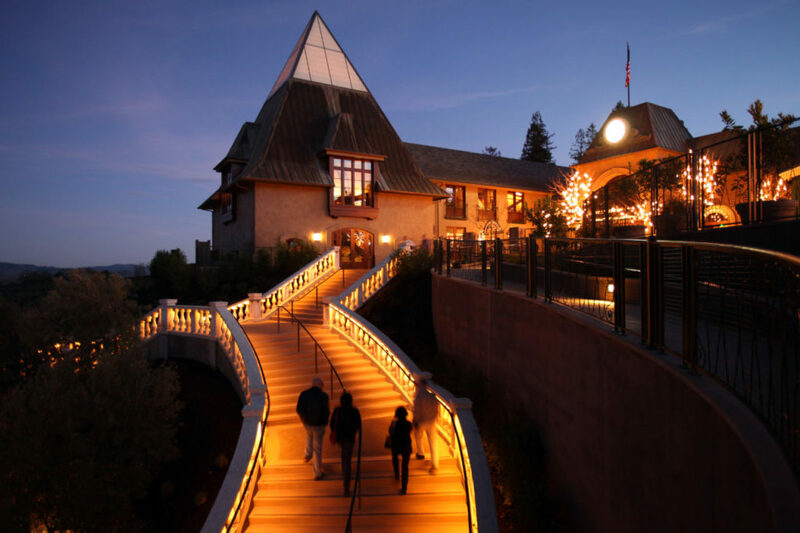 DeLoach Vineyards DeLoach Vineyards 2015 Le Royal Green Valley of Russian River Valley Blanc de Noirs Brut $75 The Charles Heintz Vineyard near Occidental provided the Pinot Noir grapes for this new wine from DeLoach’s always-inventing owner, Jean-Charles Boisset. 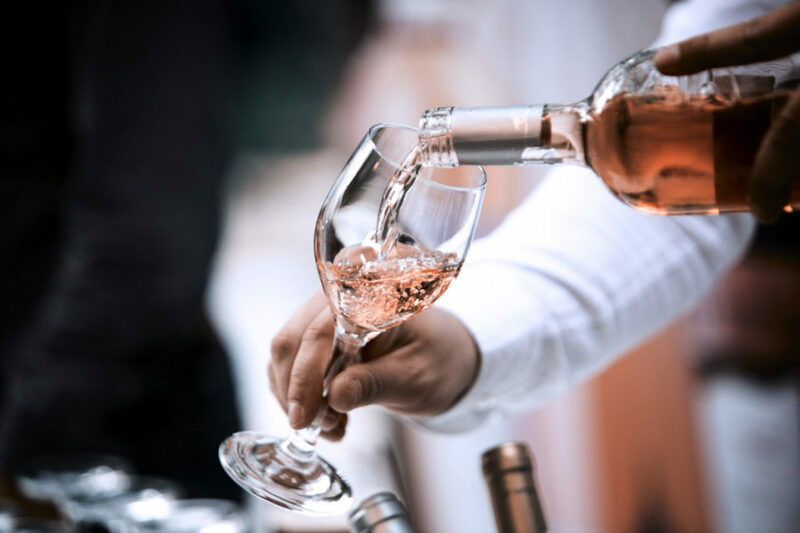 Its appealing pink hue suggests berries and cherries, and those aromas and flavors are certainly present, along with spring flower blossoms, white peach, and subtle toasty notes. Gloria Ferrer Caves & Vineyards 2010 Anniversary Cuvée Carneros Brut $40 Produced to celebrate this Sonoma winery’s 40th birthday (note the corresponding price), this wine over delivers with its tornado of furious bubbles, bright golden apple flavors, creamy mousse, and hints of almond skin, marzipan, and brioche. Admirable complexity at this price. Iron Horse Vineyards 2014 Green Valley of Russian River Valley Ocean Reserve Blanc de Blancs Brut $52 All Chardonnay, this tangy green-apple-dominant wine has hints of white peach, citrus, anise and fresh-baked bread. Sophisticated and with great finesse. For each bottle sold, Iron Horse donates $4 to National Geographic’s Ocean Initiative, which establishes protected marine areas and supports sustainable fisheries. Oysters, anyone? Iron Horse Vineyards 2013 Brut X Green Valley of Russian River Valley Brut $52 Traditional-method sparklers, as all wines in this section are, undergo a second fermentation in the bottle, jump-started by the addition of a sugar solution (“dosage”) before each bottle is capped. A very light-handed dosage for X, a Pinot Noir-Chardonnay blend, created a quite dry, taut, focused wine with scintillating acidity. Each mouthwatering sip pleads for another. J Vineyards & Winery NV Cuvée 20 Russian River Valley Brut $35 Nonvintage bubblies are blends of wine from multiple years, and can change slightly in style from year to year. Cuvée 20 has evolved from a slightly sweet, fruity wine to one that is drier (less sweet) and with more complex, nutty nougat character, and a finer, creamier texture. A splash of Pinot Meunier adds depth to the dominant Chardonnay and Pinot Noir components. J Vineyards & Winery 2013 Russian River Valley Rosé Brut $65 The rosé craze encompassed sparkling as well as still wines. J has long made an award-winning nonvintage brut rosé that’s widely available, yet also holds some of its best lots for this vintagespecifi c wine. It has more precision, finer bubbles, and more nuanced characteristics, with lime, brioche, and roasted grain accenting the bright strawberry and raspberry flavors. 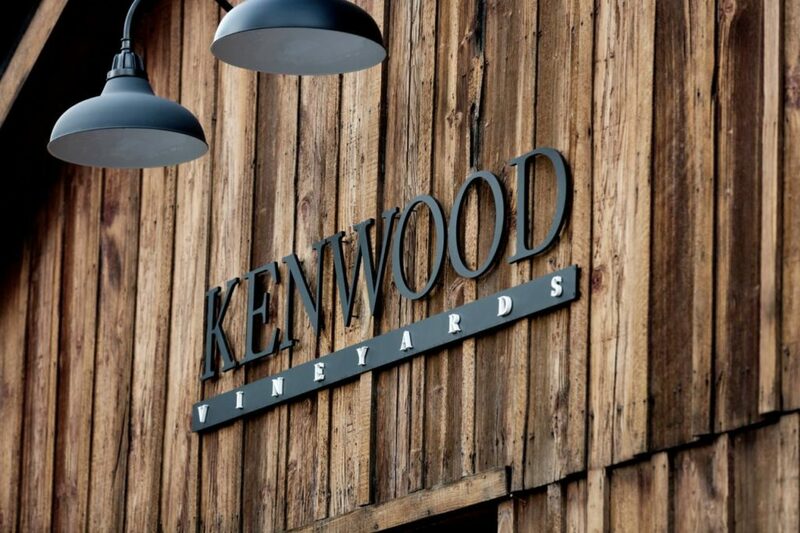 Kenwood Vineyards NV Blanc de Blancs Sonoma County $22 This all-Chardonnay sparkler earned a gold medal at NCWC for its fresh-tasting citrus, green apple, and Asian pear aromas and flavors. There is a hint of yeastiness in the background, adding complexity and boosting the mouthfeel. The price is right, too. Longboard Vineyards NV Russian River Valley Brut $45 Oded Shakked, founding bubbly maker at J Wine Co., struck out on his own and produces several sparklers at his Healdsburg winery. This one is the most accessible to drink, and available in the market. With sunny Granny Smith apple, pear, and light berry notes from the base-wine grapes, Chardonnay and Pinot Noir, the wine was fermented in old oak barrels, adding texture and rounding the acidity a bit, for a softer representation of traditional bubbly. Davis Bynum 2017 Virginia’s Block Russian River Valley Sauvignon Blanc $25 This is the best Virginia’s Block Sauvignon Blanc to date, and it appears that small changes in the vineyard to limit vine vigor, and partial oak aging — including in barrels made from acacia trees — have served the wine well. 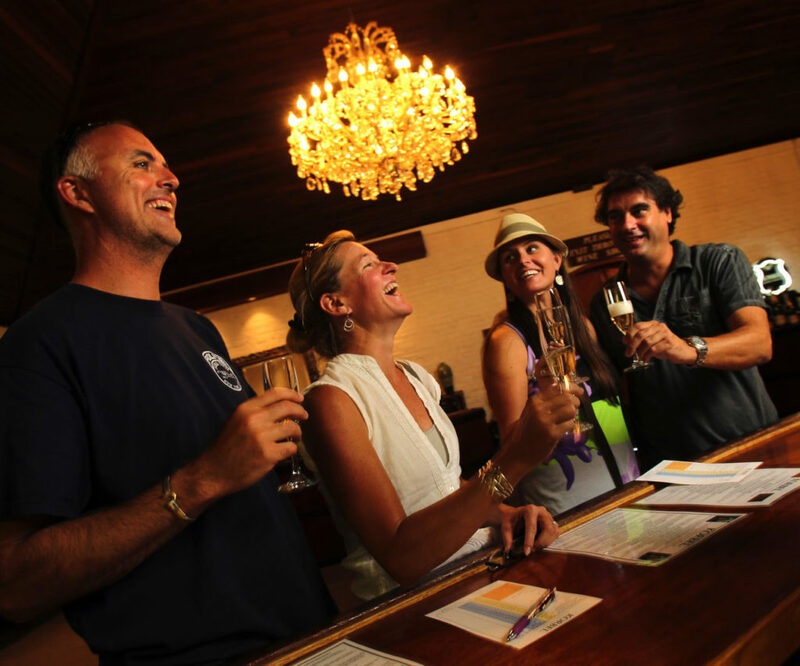 Its aromas and flavors are of grapefruit, lemon-lime, and green apple, plus a touch of pineapple. It’s racy and refined. Dry Creek Vineyard 2017 Sonoma County Fumé Blanc $15 The Stare-Wallace family has produced this wine since the early 1970s, and with remarkable success. 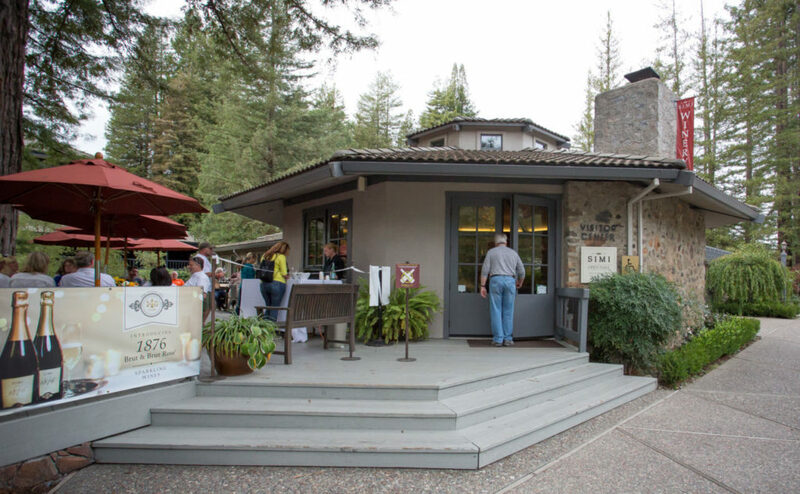 Note the suggested retail price — and it’s often discounted in chain stores — and stock up on one of Sonoma’s best-value wines. 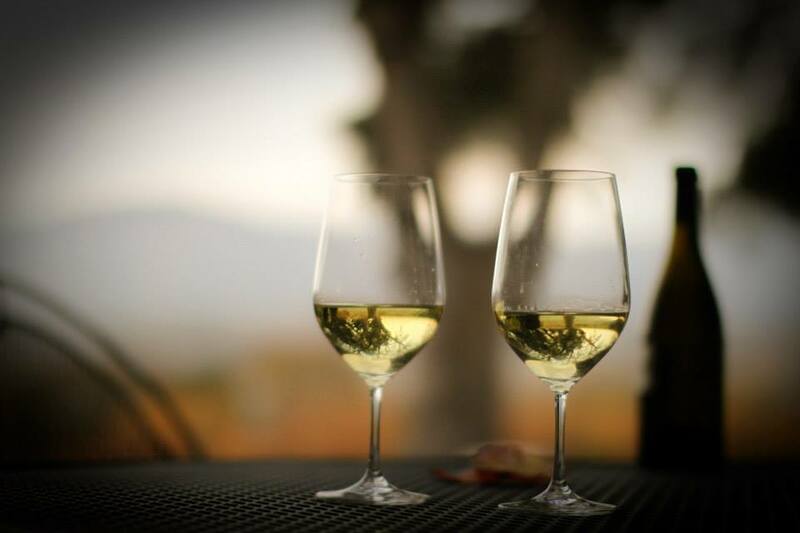 It delivers mouthwatering citrus, lemongrass, and green-melon aromas and flavors, vintage after vintage. 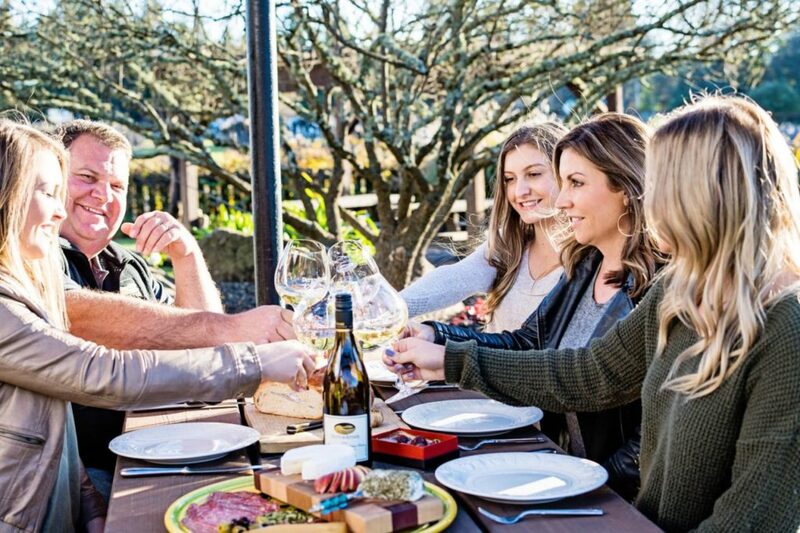 Dutton Family Estate 2017 Kylie’s Cuvée Russian River Valley Sauvignon Blanc $27 Owners Joe and Tracy Dutton have put their recent college graduate daughter Kylie Dutton to work as brand ambassador (that means sales and marketing). This Sauvignon Blanc bearing her name is a tropical extravaganza, loaded with pineapple, papaya, kiwi, honeydew melon, and lemon-lime fruitiness. It’s also clean and refreshing. J. Rickards Winery 2017 Croft Vineyard Alexander Valley Sauvignon Blanc $22 This layered wine, with a bit of Semillon added and partially aged in oak barrels, has so much complexity and balance that it scored 98 points at NCWC. There is a stony minerality to the slightly rich yet fresh-tasting citrus, apple, and pear fruit, with very slight hints of vanilla and toast. The finish is long and rewarding. Medlock Ames 2017 Bell Mountain Estate Alexander Valley Sauvignon Blanc $29 Inviting aromas of honeydew melon and lime zest lead to a bracing palate of lime, kiwi fruit, and lemongrass. There is a distinct minerality in the aroma and finish of this vibrant, racy wine, made from organically grown grapes. Merry Edwards Winery 2014 Late Harvest Russian River Valley Sauvignon Blanc $48 Best known for Pinot Noir, Merry Edwards also produces this unctuous dessert wine from estate-grown fruit. 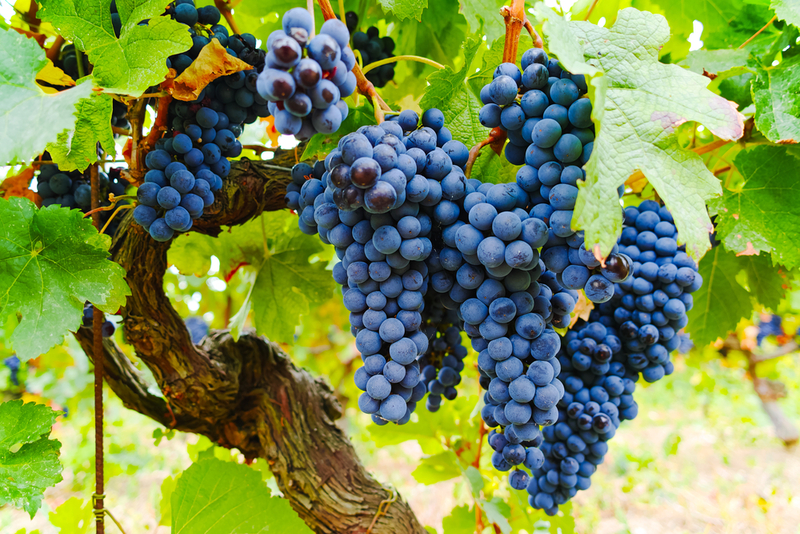 The grapes are picked at optimal sweetness, before they turn to raisins. After vinification, the wine tastes of crème brûlée, caramel, spiced baked apple, and poached peach, with racy acidity balancing the teeter-totter. Roth Estate 2016 Sonoma County Sauvignon Blanc $15 Fermentation in stainless-steel tanks preserves the palate-cleansing vibrancy of this fine-value wine. Inviting white-blossom aromas and slightly tart, juicy flavors of grapefruit, honeydew melon, mango, and Meyer lemon are signature — as well as the crazy-good price. 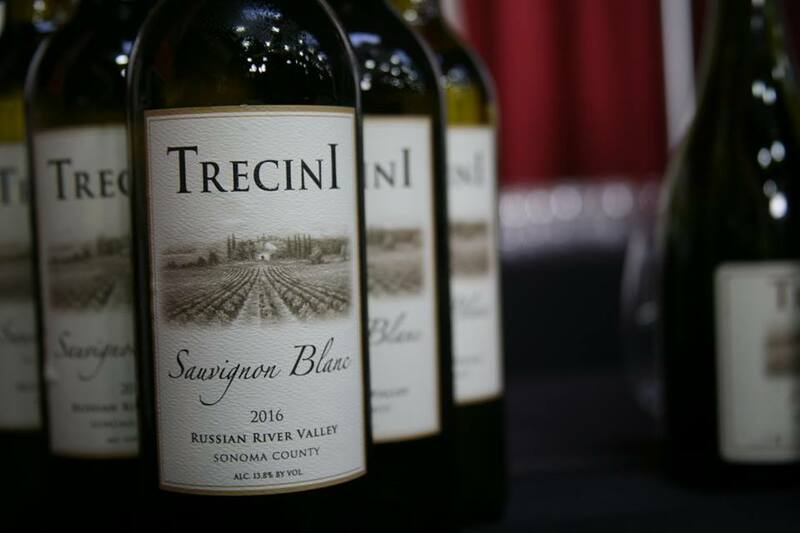 Trecini Cellars 2017 Russian River Valley Sauvignon Blanc $13 John and Cathy Vincini and their son, David, are the “trecinis,” and they grow grapes in Russian River Valley. 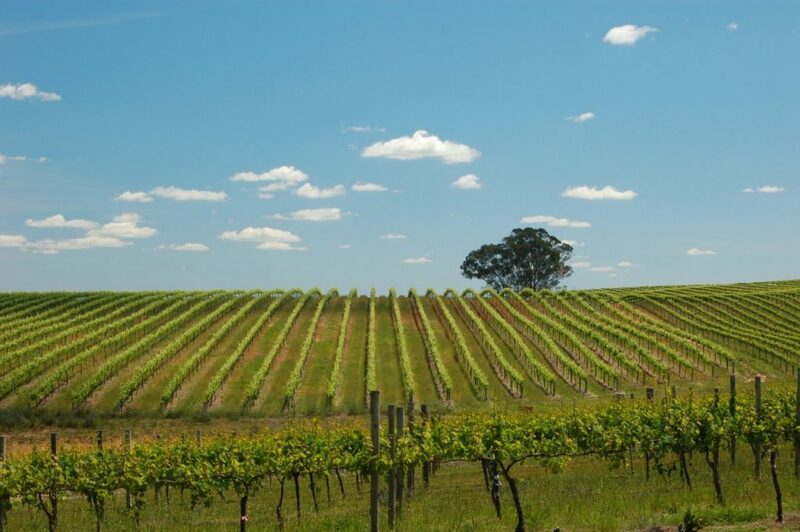 Dan Barwick is their winemaker, and year after year, he produces high-quality wines the Vicinis sell at modest prices. This one is a refreshing melange of juicy citrus and tropical flavors, only gently herbal and a pure pleasure to drink. Zialena Wines 2016 Sonoma County Sauvignon Blanc $28 Lisa and Mark Mazzoni, fourth-generation grapegrowers in Alexander Valley, named their brand after their Aunt Lena, a foundation of the Mazzoni family in Geyserville. Barrel fermentation adds richness to this exotically flavored wine, with layers of pear, white peach, ruby grapefruit, tangerine, and green melon. The mouthwatering finish complements vegetables and grilled fish. 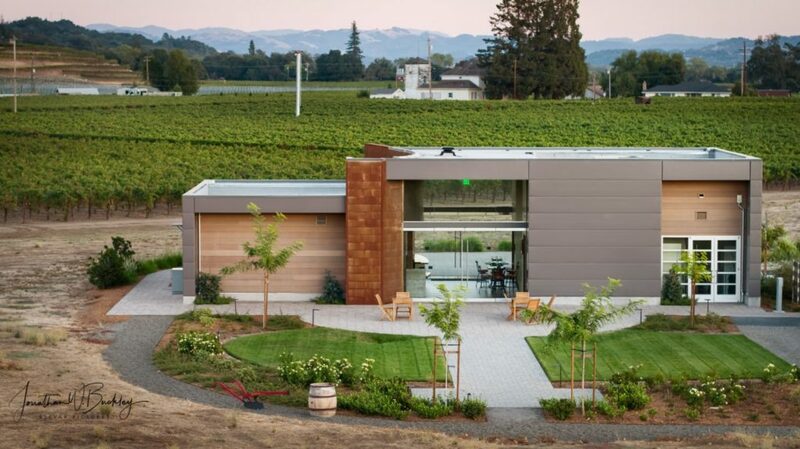 Balletto Vineyards 2015 Cider Ridge Vineyard Russian River Valley Chardonnay $38 Anthony Beckman continues to make great wines from Balletto’s vineyards, and this snappy, complex wine is an example. It’s graceful and balanced, with just the right amount of toast, caramel, and spice notes to accent the crunchy green-apple and citrus flavors. 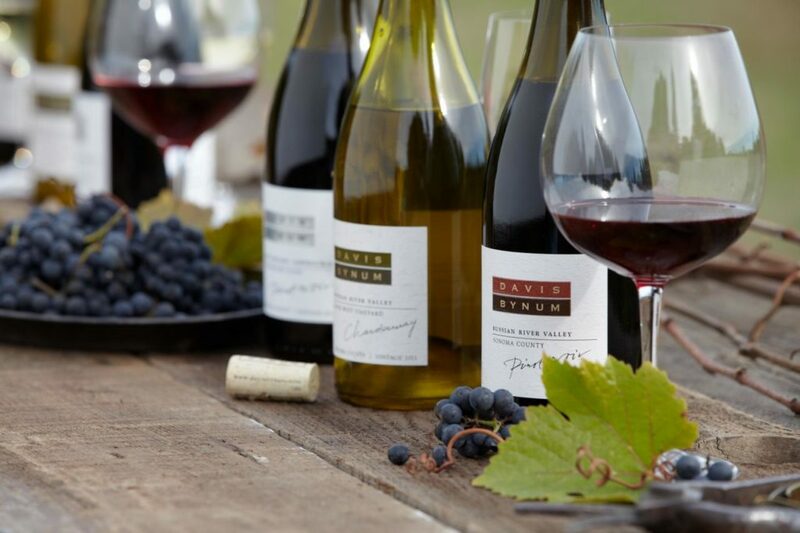 Davis Bynum Winery 2015 River West Russian River Valley Chardonnay $25 Mouthwateringly bright and slightly tart at first, it leads with Meyer lemon, lemon curd, and Granny Smith personality, ending with some richness and weight on the lingering finish. It scored 95 points at NCWC. 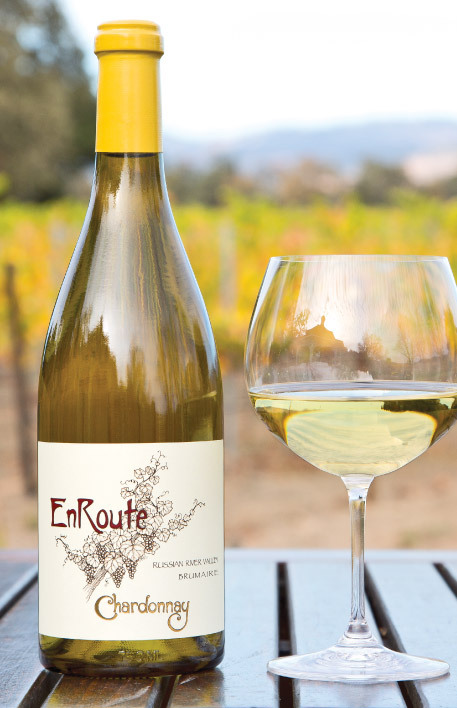 EnRoute Winery 2015 Brumaire Russian River Valley Chardonnay $40 EnRoute is the Sebastopol winemaking outpost for the Far Niente/ Nickel & Nickel outfit in Napa Valley. 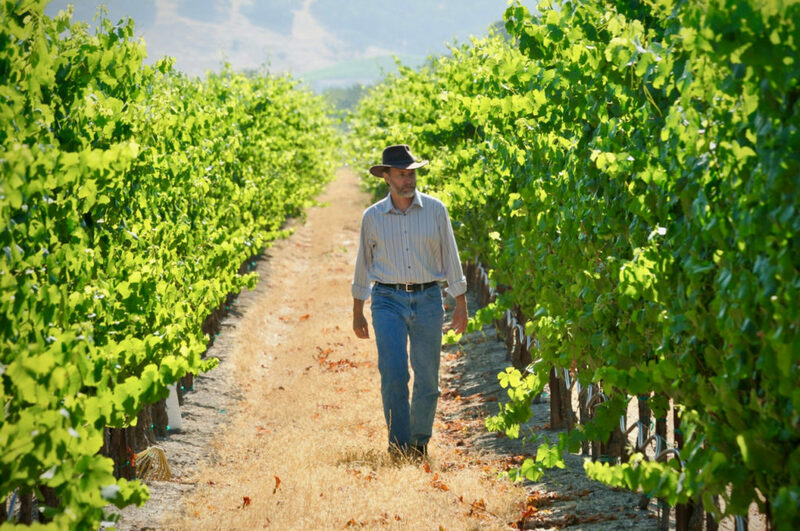 Winemaker Andrew Delos has produced a Chardonnay that’s both rich and refreshing — a tough trick. 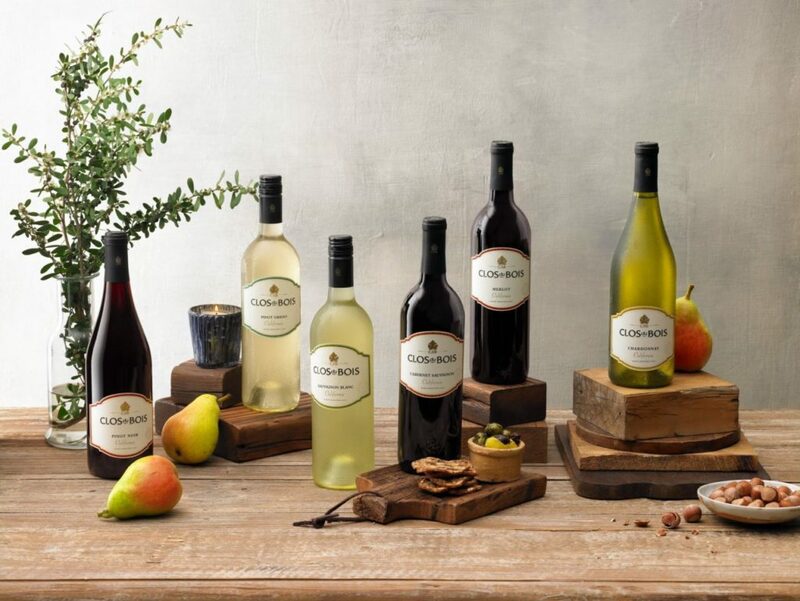 Generous nectarine, green apple, and poached-pear flavors are framed by bracing natural acidity. Oak spice is an accent, not a dominant characteristic. Frostwatch Vineyard & Winery 2015 Ophira Reserve Bennett Valley Chardonnay $45 This big, powerful wine scored 95 points at NCWC for its crowd-pleasing ripe apple, Meyer lemon, and tropical fruit flavors. It has deep palate weight for those who love rich Chardonnays, and a succulent, lengthy finish. La Chertosa 2016 Sonoma Valley Reserve Chardonnay $25 La Chertosa is Sam Sebastiani’s return to wine production after leaving his Viansa winery years ago. This full-bodied, deep-fruited Chardonnay is ripe in tropical fruit, red apple, and Bosc pear flavors. Vanillin oak lends a creamy coat to the mid-palate, and the snappy finish cuts through the richness. 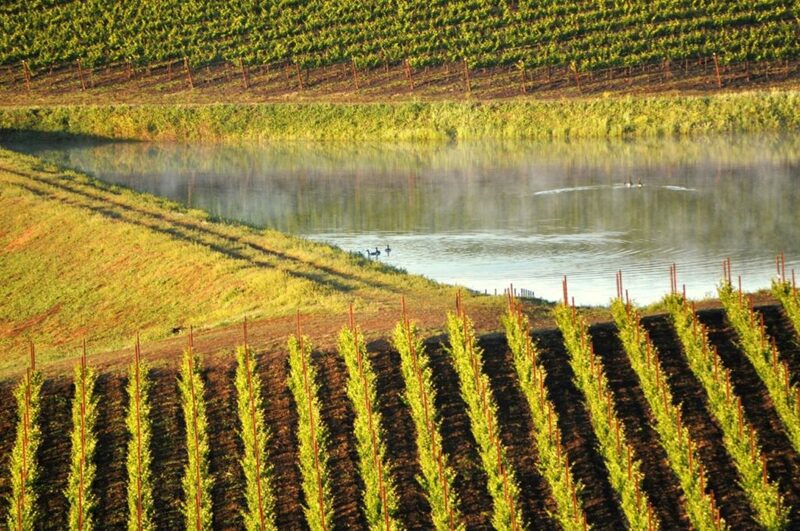 Landmark Vineyards 2015 Overlook Sonoma County Chardonnay $25 This multisite blend over delivers on price, with aromas and flavors of starfruit, apple, pear, grilled pineapple, mango, and crystalized ginger. 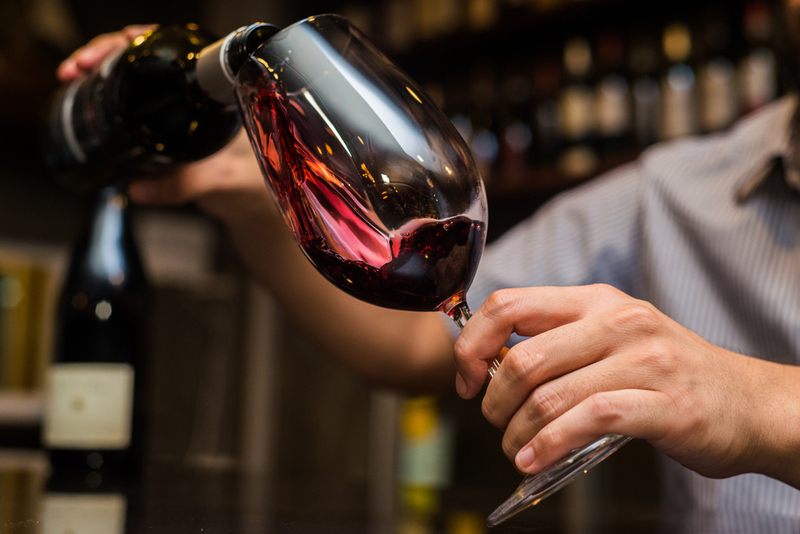 It’s a rich, mouth-filling wine that finishes brisk and fresh, thanks to balancing acidity. 95 points at NCWC. Ramey Wine Cellars 2015 Russian River Valley Chardonnay $42 David Ramey makes several Sonoma Chardonnays, many of them vineyard-designated. All are wonderful. 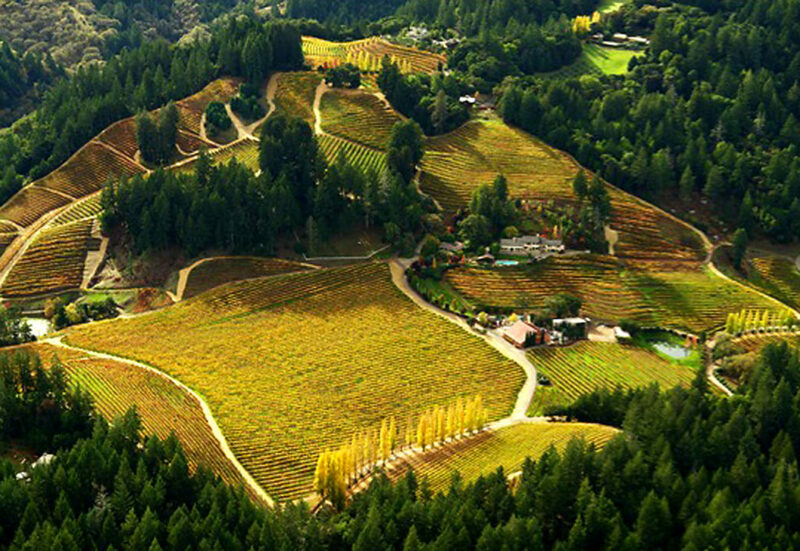 Yet the Russian River Valley blend is the heartbeat, the flagship, the signature of his efforts. It’s medium-full-bodied, extraordinarily complex with a melange of apple, pear, citrus, and tropical fruit, and a superb balance of oak and natural acidity. Rodney Strong Vineyards 2016 Blue Wing Vineyard Sonoma Coast Chardonnay $25 This is a fabulous wine for the price, made from the winery’s vineyard in what is now the Petaluma Gap AVA. Wind and cool evenings-into-mornings prohibit the grapes from becoming overripe, and the result is a lively, crisp wine with green apple, Meyer lemon, and tropical-fruit character. Great with food. 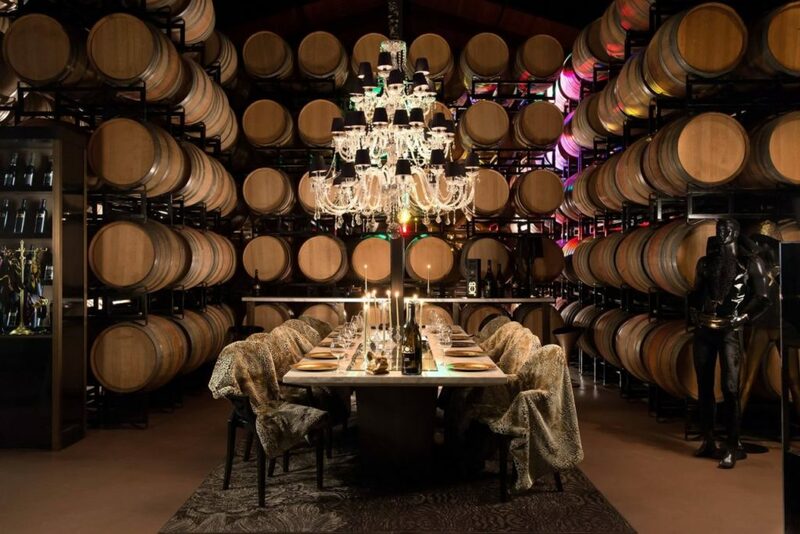 Fans of flamboyant, rich Chardonnays need not apply. Simi Winery 2016 Sonoma County Chardonnay $18 Hello, great value! 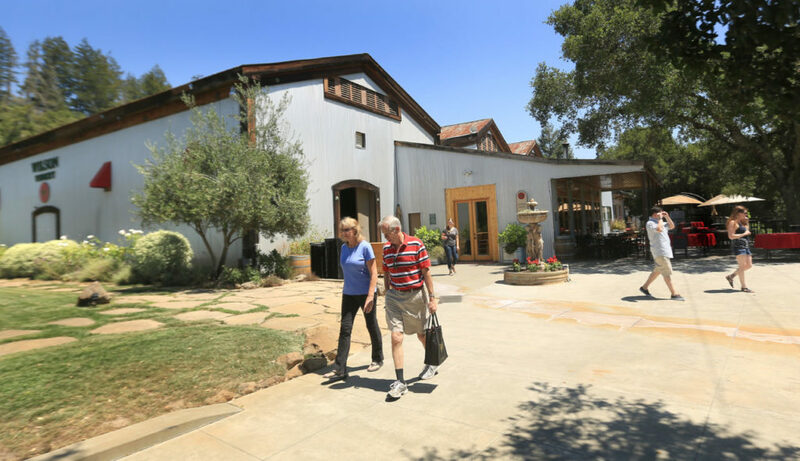 Simi’s director of winemaking Susan Lueker gets credit for this marvelous wine, sold at a super-friendly price. It scored a worldly 98 points at NCWC, for its inviting aromas, green apple and pear flavors, cinnamon spice, crème brûlée richness, and balancing acidity. 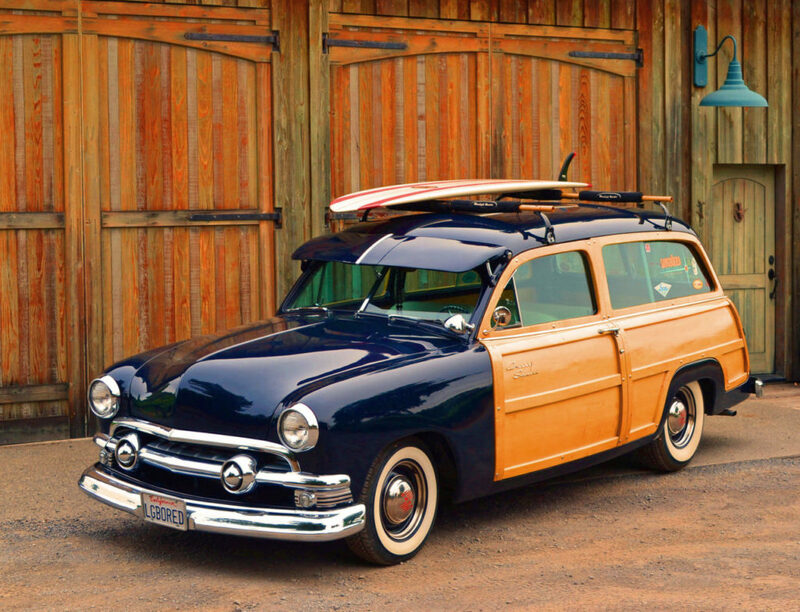 A beauty at any price. 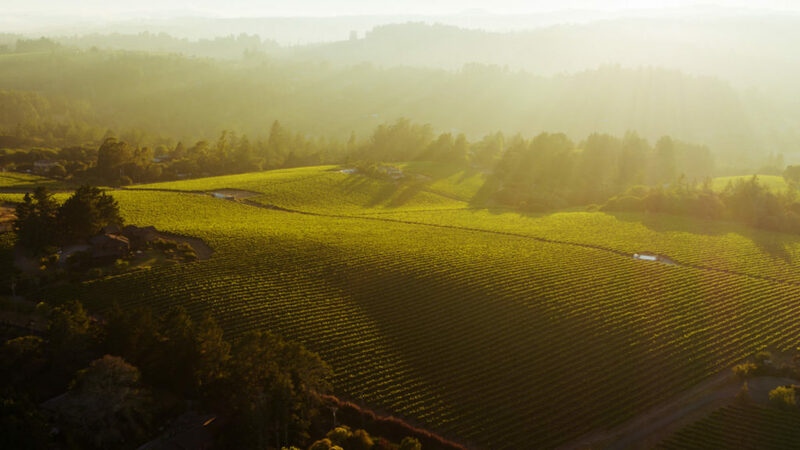 Sojourn Cellars 2016 Sangiacomo Vineyard Sonoma Coast Chardonnay $45 The legendary Sangiacomo grapegrowing family’s Roberts Road vineyard, in the Petaluma Gap AVA, is the majority source of grapes for this distinctive wine. It’s not for lovers of fat, rich Chardonnays, but rather for those who appreciate elegance and nervosity. The winery doesn’t say this, but the wine is Chablis-like in firm structure, yet with juicy Sonoma fruit. 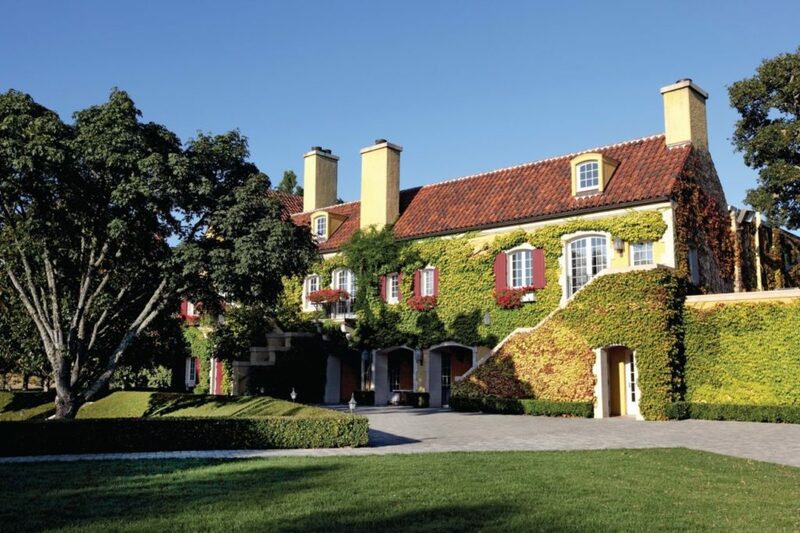 Three Sticks Wines 2016 Durell Vineyard Sonoma Coast Chardonnay $55 Three Sticks and Durell Vineyard owner Bill Price and his winemaker, Bob Cabral, turned out a rich, satisfying Chardonnay from one of Sonoma Valley’s most recognized sites. The wine strikes a fine balance of generous pear, golden apple and citrus aromas and flavors, brown baking spice from oak barrel fermentation, and plenty of acidity to keep it all fresh. 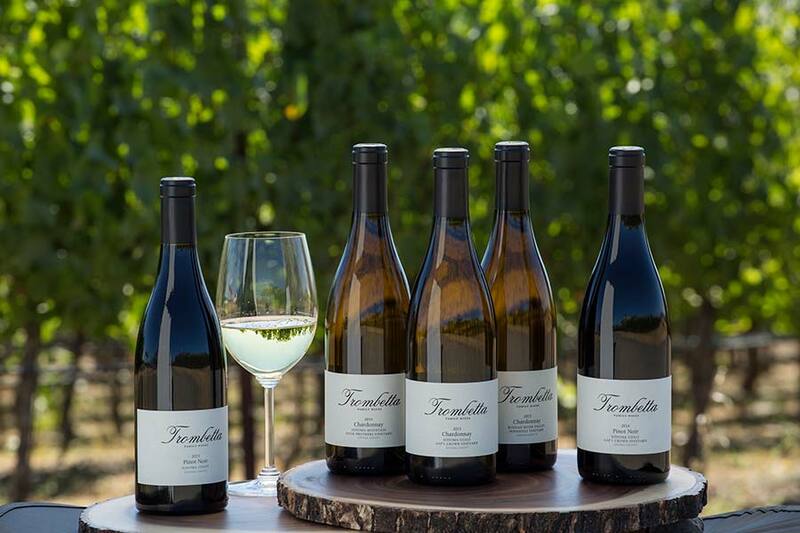 Trombetta Family Wines 2016 Indindoli Vineyard Russian River Valley Chardonnay $45 Carmine Indindoli taught the Trombetta/Stancliff family how to be home winemakers, and his vineyard provides grapes for their nowcommercial winery. This wine is complete, with every component in proper proportion: juicy apple and pear flavors, tangy citrus edge, and gentle caramel-oak spice notes. The finish is long and mouthwatering. 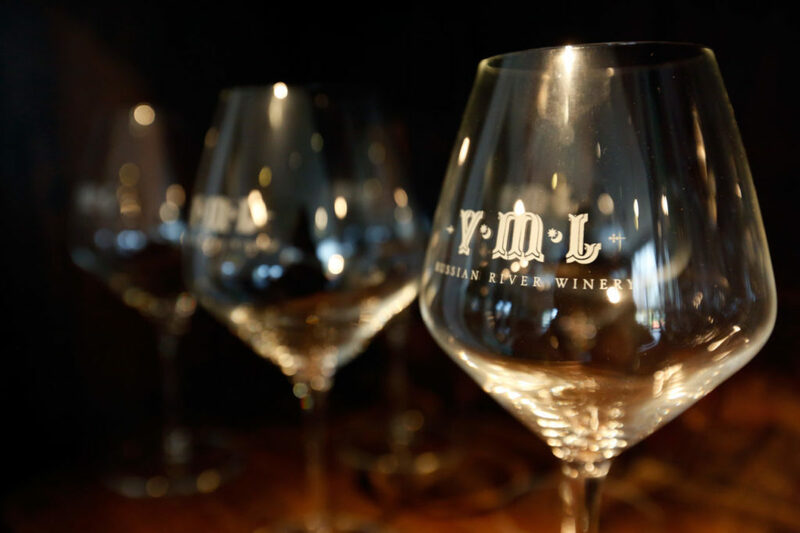 VML Winery 2015 Cresta Ridge Vineyard Green Valley of Russian River Valley Chardonnay $50 While some Chardonnays are bombastic — a style that many love — NCWC judges appreciated this wine’s elegance, balance, and understated oak influence. They awarded it 97 points, for its precise lemon meringue and green-apple fruit clarity and zingy acidity on the finish. Anaba Cellars 2016 Snow Vineyard Sonoma Valley Grenache Blanc $28 The Grenache Blanc grape hails from France’s Rhône Valley and is now planted throughout California. At Anaba, the wine from this trending grape shows spiced apple, poached pear, and vibrant citrus character. It’s crisp, pure, and delicious. Anaba Cellars 2016 Sonoma Valley Turbine White $32 A 95-point-scorer at NCWC, this Viognier-Marsanne-Roussanne blend has opulent papaya and yellow stone fruit flavors and a hint of white pepper on the long, pleasing finish. Beautifully integrated. Donelan Family Wines 2015 Venus Sonoma County Roussanne/Viognier $48 There is a subtle spicy oak aroma and texture to this Rhône-style blend. It’s serious stuff for those who embrace elegance and balance in white wines. Neutral-oak fermentation adds depth to the white peach, green apple, and kiwi fruit character, and edgy natural acidity cleanses the palate. Dutton-Goldfield Winery 2017 Shop Block Green Valley of Russian River Valley Pinot Blanc $30 Juicy honeydew melon, white peach, pear, and grapefruit flavors beautifully contrast with the racy acidity. It’s not a fruit bomb, but rather a layered, elegant wine that succeeds in ways few California Pinot Blancs do. 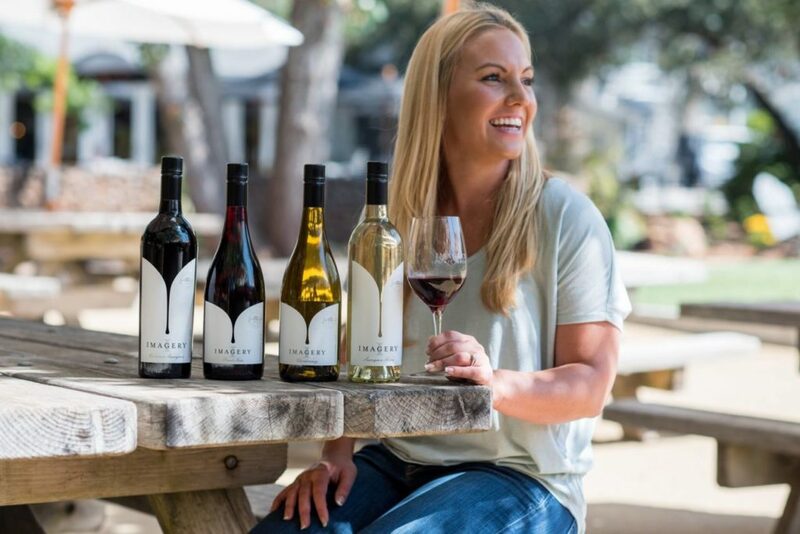 Hart’s Desire Wines 2017 Dry Creek Valley Old Vines Semillon $32 “Nectar of the gods,” wrote one NCWC judge about this wine, which scored 96 points. There isn’t a lot of Semillon grown on the North Coast, so it’s great to see this one so successfully made. The lemon, pineapple, and fig flavors are bright and minerally, with a crisp finish. Hawley Winery 2017 Sonoma County Viognier $28 Grapes from the Hawley family’s estate vineyard in Dry Creek Valley, and purchased fruit from a site in Russian River Valley, comprise this delicious, easy-going wine. 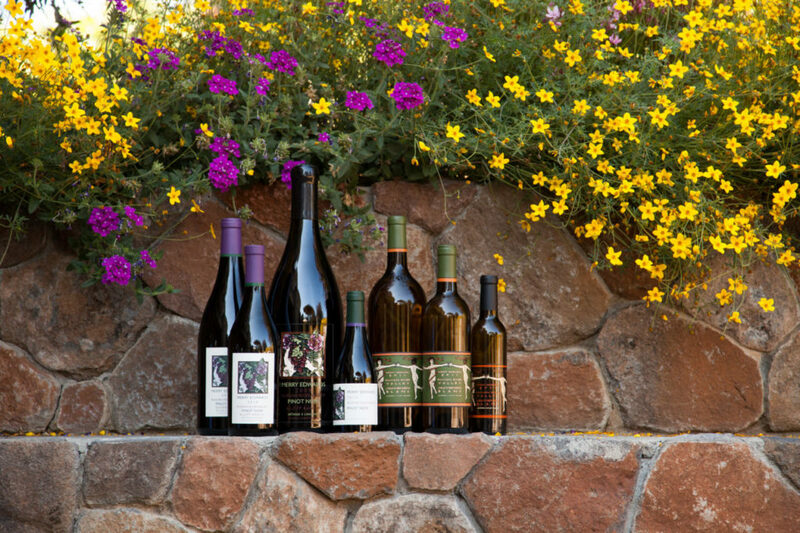 Honeysuckle, peach, apricot, and pear character come at a fair price for Viognier. Pride Mountain Winery 2017 Sonoma County Viognier $45 A textbook example of Viognier’s effusive honeysuckle, pear, and peach aromas, it delivers the same on the palate, plus hints of citrus, passionfruit, and Asian pear. Full-bodied and flavorful, it has the balance and vibrant acidity to complement an array of dishes. Seghesio Family Vineyards 2017 Russian River Valley Vermentino $22 Brilliantly focused and brimming with crunchy apple, lime, and tangerine personality, this Sonoma-grown version of the Italian varietal is also minerally and taut. 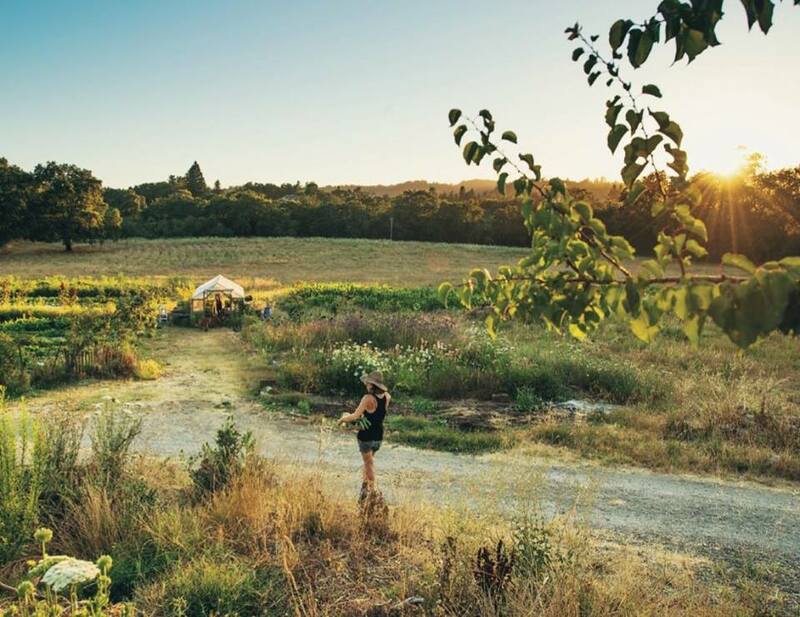 The winery dropped its Pinot Grigio program a few years ago, finding that Vermentino and fellow Italian varietal Arneis were far more interesting to drink. St. Francis Winery & Vineyards 2016 Estate Sonoma Valley Cuvée Blanc $24 This blend of Viognier, Roussanne, and Marsanne is aromatic and vibrant, with orange blossom, white peach, pear, and citrus personality. Last tasted on a 100-degree Sonoma Valley summer afternoon, it was utterly refreshing, and fabulous with a cheese board. Benovia Winery 2017 Russian River Valley Rosé of Pinot Noir $32 Rich and stylish, it has great depth and mouthfeel, thanks to fermentation of the juice in older French oak barrels. Despite its luscious strawberry and red raspberry character, it remains balanced and refreshing. 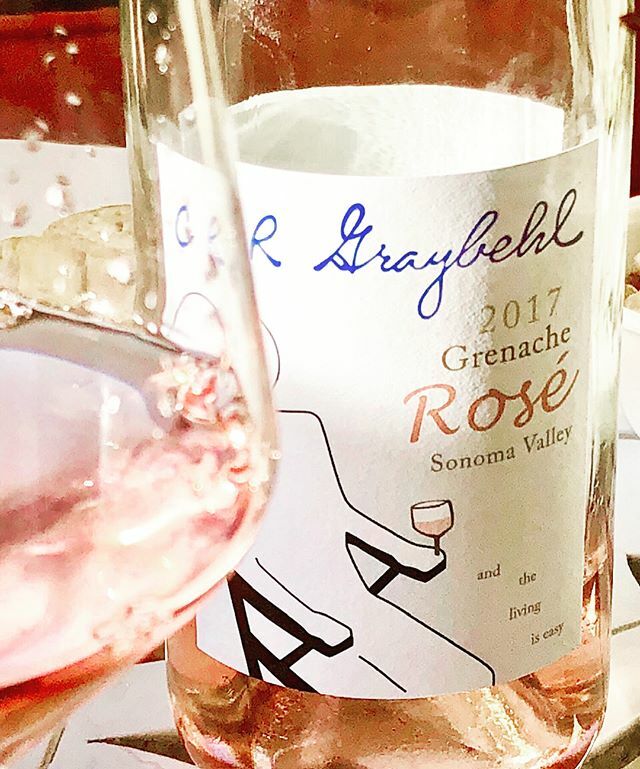 CR Graybehl Wine Co. 2017 Sonoma Valley Grenache Rosé $22 Casey Graybehl adores Grenache, and his 2017 rosé made from that grape earned 97 points at NCWC. 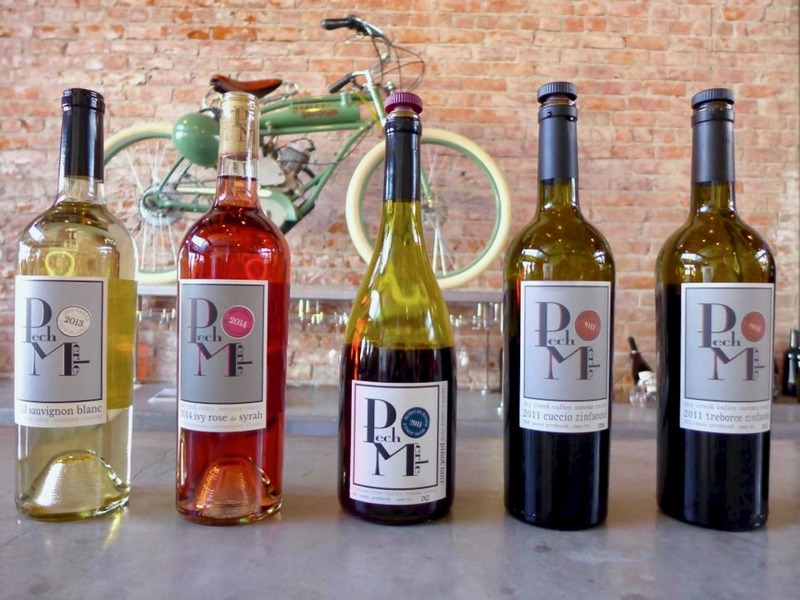 Fruit from the Peter Mathis Vineyard was vinified into a lively wine with lip-smacking strawberry and cranberry flavors. NCWC judges also appreciated the wine’s minerality. 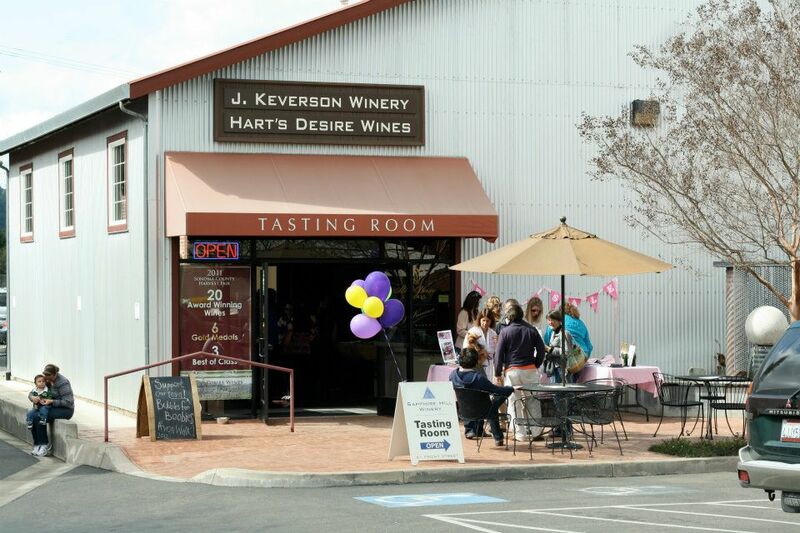 Hart’s Desire Winery 2017 Dry Creek Valley Sangiovese Rosé $24 One NCWC judge described this 96-point wine as having “gravitas,” for its dark pink color, ripe strawberry and raspberry fruit, a hint of cotton candy and citrus, and dry (not sweet) palate impression. 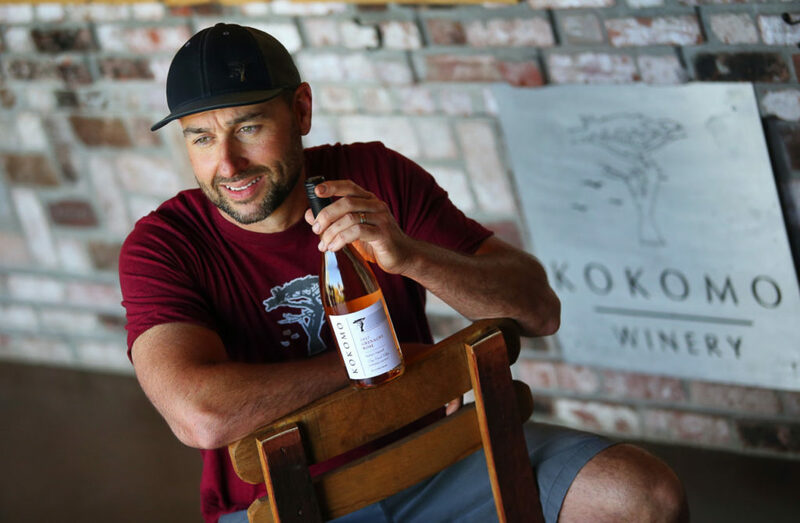 Kokomo Winery 2017 Pauline’s Vineyard Dry Creek Valley Grenache Rosé $26 Winemaker Erik Miller produced this wine from fruit grown by Randy Peters; Pauline is Randy’s mother. Fresh-cut watermelon is the signature of this pretty, succulent wine, with hints of strawberry, nectarine, and ruby grapefruit. Ordaz Family Wines 2017 Maus Vineyard Sonoma Valley Rosé $22 A splash of Mourvedre adds an earthy layer to the bright berry and cherry character of the Grenache and Syrah grapes used in this Rhône-style rosé. Mourvedre’s smokiness adds dimension that connects the wine to grilled food and Thanksgiving turkey. ’Tis the season. Quivira Vineyards 2017 Wine Creek Ranch Dry Creek Valley Rosé $22 Winemaker Hugh Chappelle’s blend of Grenache, Mourvedre, Petite Sirah, Counoise, and Syrah has Provençal aromas of lavender and white flower blossoms. The palate is both rich and refreshing, with juicy flavors of watermelon, wild strawberry, and Queen Anne cherry, finishing crisp and spicy. 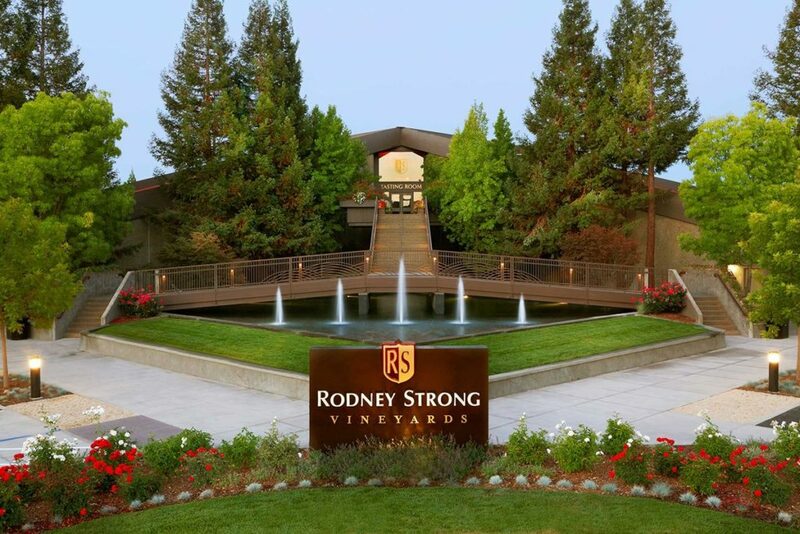 Rodney Strong Vineyards 2017 Russian River Valley Rosé of Pinot Noir $25 It scored an impressive 98 points at NCWC and, in a taste-off by judges, was chosen the Best Rosé of the competition. Floral, juicy, tangy, and crisp, it brims with light strawberry, raspberry, and white peach flavors. At 12.5 percent alcohol, it goes down easy, yet is a serious rosé effort. Russian River Vineyards 2017 50/50 Russian River Valley Rosé of Pinot Noir $34 NCWC awarded this wine 98 points, for its generosity of raspberry, red cherry, and strawberry flavors. 50/50 refers to the two vineyards that contributed the grapes to this wine, Appian Way and Horseridge. A subtle creaminess adds complexity. Shane Wines 2017 Ma Fille Sonoma County Rosé $17 Mostly behind the scenes, Shane Finley made wines for Paul Hobbs, Kosta Browne, and Lynmar. 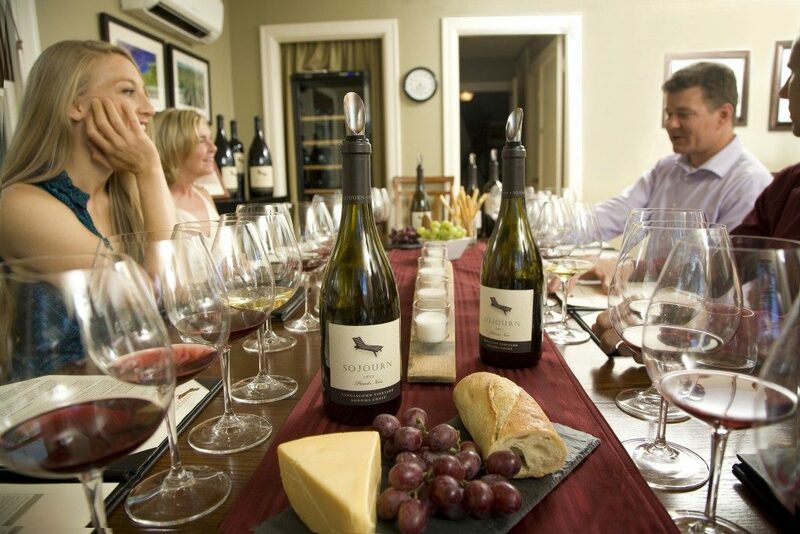 Now his efforts go mostly to his own brand, Shane, and to Thirty-Seven Wines, for which he is the consulting winemaker. This rosé is a blend of Pinot Noir, Syrah, and Grenache, and it delivers bright strawberry and cherry fruit, with a tangy citrus note on the palate-whisking finish. 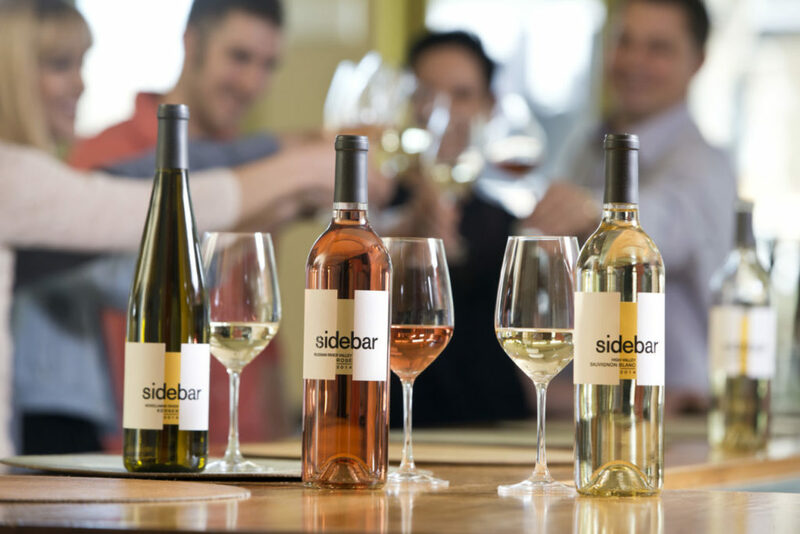 Sidebar Cellars 2017 Russian River Valley Rosé $21 As a side project of David and Carla Ramey of Ramey Wine Cellars, Sidebar gives their adult kids, Alan and Claire, an opportunity to impact the business from a younger viewpoint. This Syrah rosé is alltoo- easy to drink, loaded with fresh strawberry and raspberry flavors, and with mouthwatering vibrancy. It’s a perfect lunch wine. 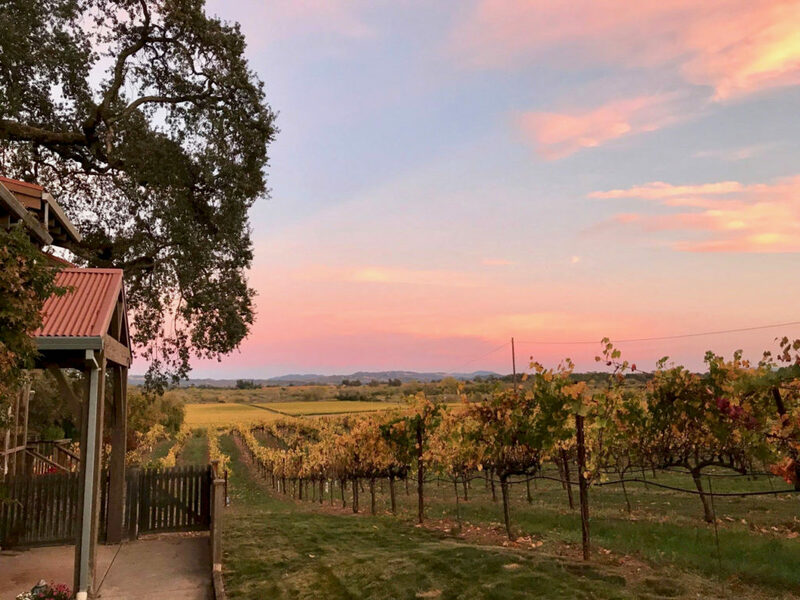 Toad Hollow Vineyards 2017 Eye of the Toad Russian River Valley Dry Rosé of Pinot Noir $14 This great-value wine sports juicy strawberry, raspberry, cherry, and watermelon flavors, accented by tangy citrus notes. Medium-light-bodied and refreshing, it’s often described by competition judges as a “porch pounder,” meaning: Don’t contemplate, just enjoy. 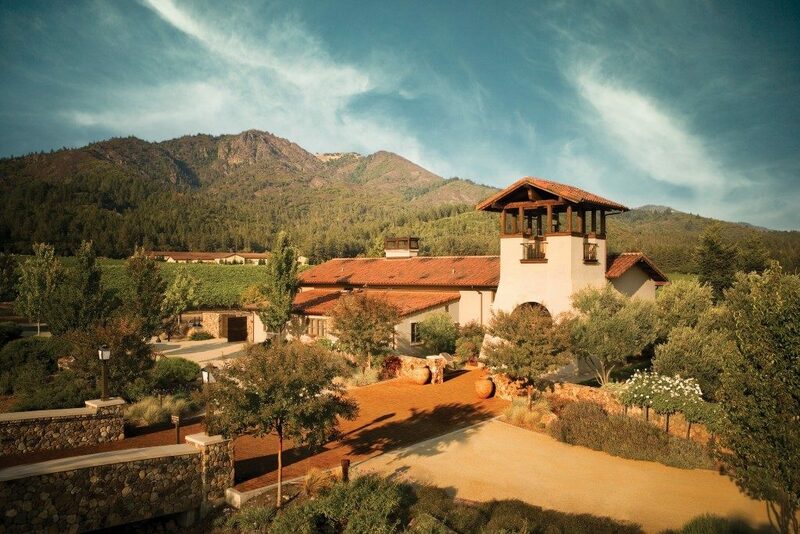 Balletto Vineyards 2015 Burnside Road Vineyard Russian River Valley Pinot Noir $44 It scored 97 points at NCWC, for its fresh red-fruit flavors, tangy acidity, and velvety texture. Pretty and elegant, it has great verve in its tart cherry and ripe blackberry profile. It’s bright, complex, and complete. 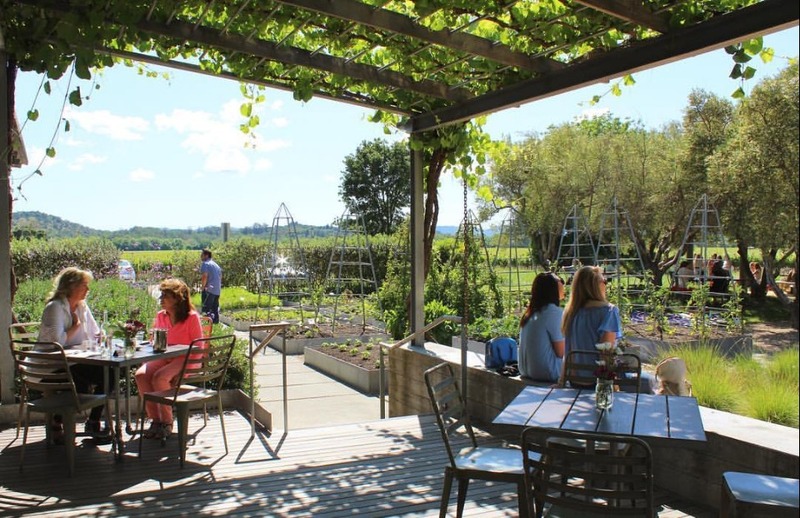 Balletto Vineyards 2015 Russian River Valley Pinot Noir $29 Not quite as complex — and also lower-priced — as the Burnside Road wine above, this 95-pointer at NCWC is bright and juicy, packed with personality and with a lingering, crisp finish. Benovia Winery 2016 Russian River Valley Pinot Noir $42 Winemaker/partner Mike Sullivan produces distinctive single-vineyard wines, yet this multivineyard blend, which comes at a fair price for high-quality Russian River Valley Pinot, is a joy to drink. Bright blackberry, dark cherry, and pomegranate fruit is dusted with brown baking spice notes, and comes with a lingering, bright finish. 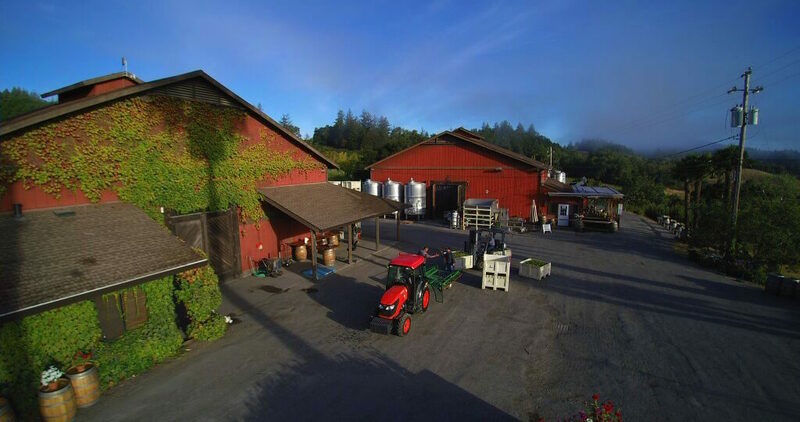 Bucher Wines 2016 Bucher Vineyard Russian River Valley Pinot Noir $40 The Bucher family has grown grapes in Russian River Valley for nearly three decades, selling them to such producers as Williams Selyem and Merry Edwards. They launched their own brand in 2013, and their flagship is this blend, made by Siduri’s Adam Lee. It’s lush and juicy, with bright cherry, cranberry, and pomegranate aromas and flavors. DeLoach Vineyards 2016 Russian River Valley Pinot Noir $24 It’s nicely priced and rewarding in its plush red cherry and red plum aromas and flavors, plus hints of vanillin oak and savory spice. 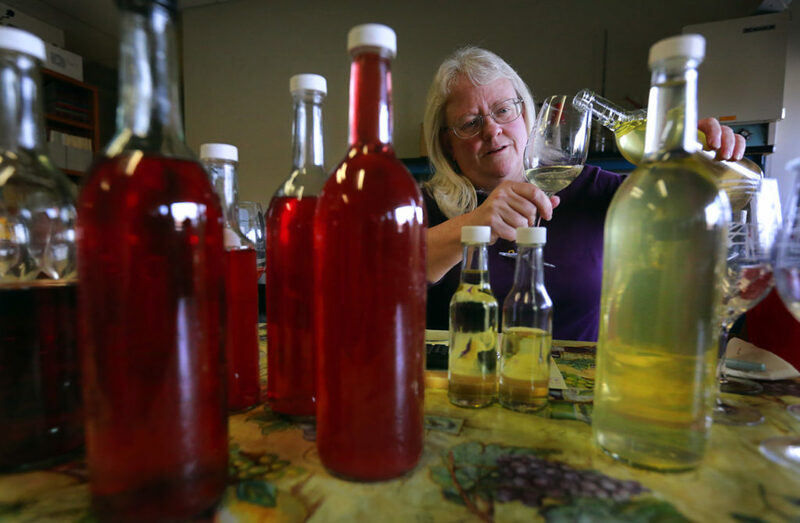 This Pinot scored 96 points at NCWC, impressing judges for its easydrinking, pleasurable nature. Dutton-Goldfield Winery 2015 Fox Den Vineyard Green Valley of Russian River Valley Pinot Noir $62 At just 13.8 percent alcohol, this wine delivers amazingly ripe, intense aromas and flavors of wild blackberry, black raspberry, and ripe strawberry. It’s floral (violets and bay leaf) and energetically succulent, with bright acidity on the lingering finish. 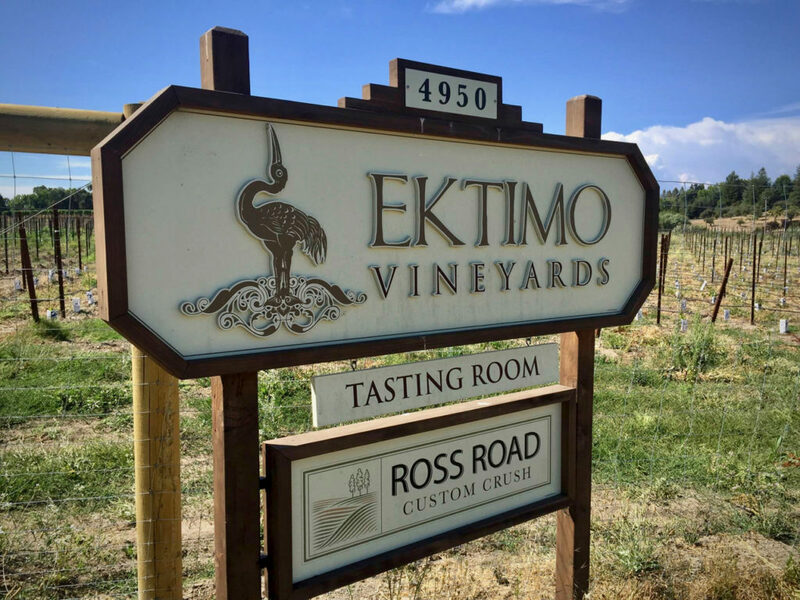 Ektimo Vineyards 2014 Russian River Valley Pinot Noir $32 This soft, silky wine wins points (95 at NCWC) for its delicate, redfruit profile of Queen Anne cherry, fresh raspberry, and strawberry compote. The finish is plush and lengthy. Freeman Winery 2015 Akiko’s Cuvée Sonoma Coast Pinot Noir $72 Proprietor/winemaker Akiko Freeman blends wine from her favorite vineyards each vintage for this wine; in 2015, the contributors were the Keefer, Pratt Sexton, Campbell, and the winery’s own Gloria vineyards, all planted in chilly west county. Delicious now, the wine has a smooth mouthfeel and excellent acid structure, and likely will improve with a few years in the cellar. Keller Estate 2014 El Coro Sonoma Coast Pinot Noir $55 The inviting aromas of rose petals and violets lead to a palate that’s full in juicy dark cherry pomegranate and fruit, inflected with Asian spice, incense, mint, and blueberry. It has laser-like focus, bracing structure, and is a textbook representation of Pinot Noir from the new Petaluma Gap AVA. Knuttel Family Winery 2015 Bill’s Hidden Track Sonoma Coast Pinot Noir $22 Bill Knuttel has made wine for lots of folks — including Dry Creek Vineyard and Teira — and devotes a large part of his time now to his own label. For this bottling, he blended fruit from two vineyards, and, “like tracks in a rock ’n’ roll recording,” they mesh into one seamless wine. Structured and spicy, it has a forest-floor earthiness to the blackberry, black cherry, and pomegranate flavors. Fabulous price. 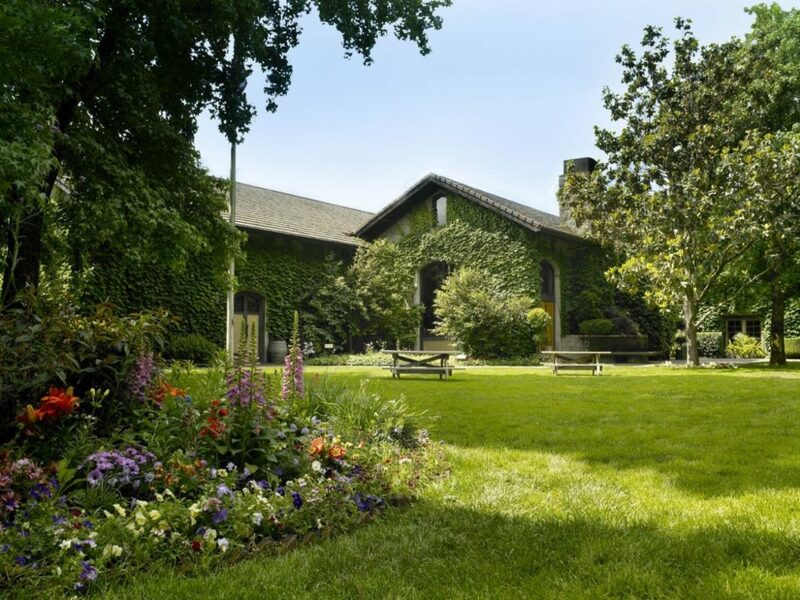 Kokomo Winery 2016 Peters Vineyard Gopher Hill Sonoma Coast Pinot Noir $44 What can be said about this wine, after it scored a record 100 points at NCWC and was chosen best wine of the competition? Let’s count the ways. Cherry pie. Mulberry. Deep. Complex. Minty spice. Hint of fresh herbs. Perfectly ripe, juicy, red cherry and raspberry fruit. Supple tannins. Palate-cleansing snap on the lengthy finish. Pretty much perfect. 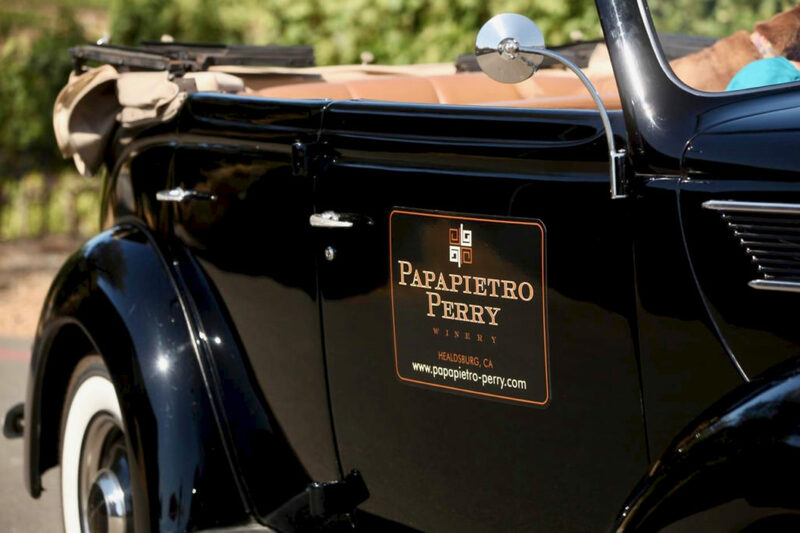 Papapietro Perry 2015 Russian River Valley Pinot Noir $53 This Best of Class winner at NCWC is classic Russian River Valley Pinot, showing the pretty red-fruit side of the grape. Luscious red cherry, red raspberry, and pomegranate flavors are accented by spicy oak, and the finish is bright and lingering. 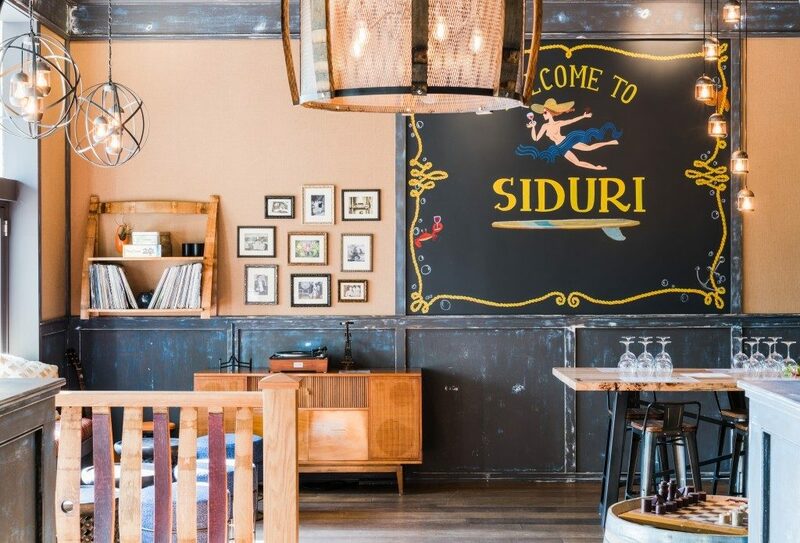 Siduri Wines 2015 Parsons’ Vineyard Russian River Valley Pinot Noir $50 This is a hedonist’s delight, with very ripe, fleshy cherry, berry and pomegranate fruit that’s on the sweet side, yet with tannin and acid structure to support the ripeness. Slightly jammy, yet not as much as a ripe Zinfandel, it delivers the goods for those who adore broad-shouldered Pinot Noir. Sojourn Cellars 2016 Gap’s Crown Vineyard Sonoma Coast Pinot Noir $65 It melds plump black cherry and blackcurrant fruit with this vineyard’s signature savory qualities — black olive, cola, incense, anise, and fresh earth — in a sophisticated, complex wine. This yin-yang contrast works beautifully, with rich fruit meeting assertive minerality. Three Sticks Wines 2016 Gap’s Crown Vineyard Sonoma Coast Pinot Noir $70 The similarities with this wine and the Sojourn Pinot above are no coincidence. 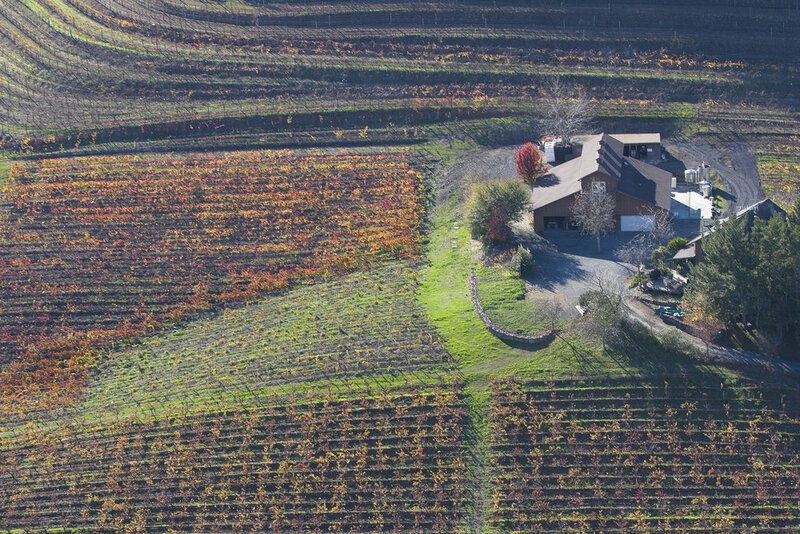 This vineyard lends an unmistakable signature to the wines made from it, straddling the line of fruit intensity and savoriness. Here, blackberry, blackcurrant, and pomegranate flavors are tinged with licorice, black truffle, and rocky minerality, making for a complex, layered wine. Trombetta Family Wines 2015 Gap’s Crown Vineyard Sonoma Coast Pinot Noir $65 From the Petaluma Gap AVA (it will be on the label in another year or two) comes this wine that’s a bit more lush than other producers’ Pinots from this vineyard. 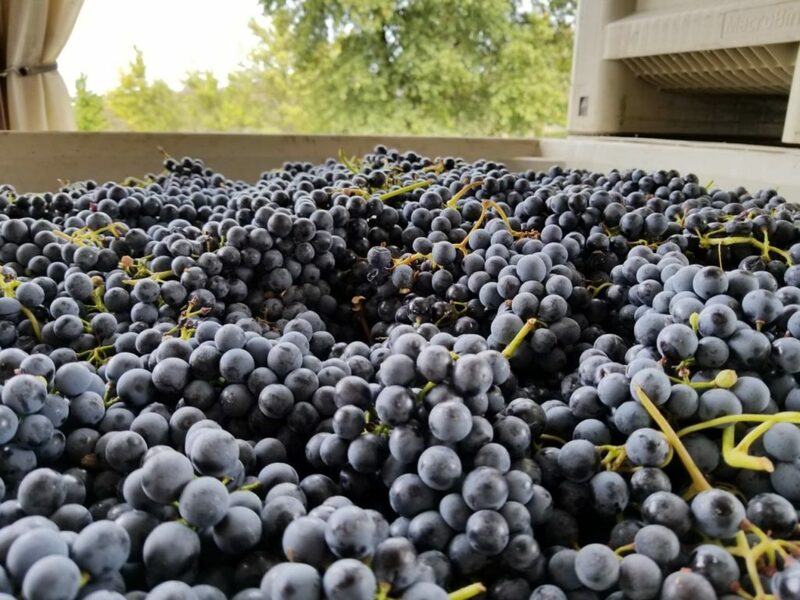 Blackberry, blueberry, and pomegranate are the primary flavors, but there are also floral aromas, hints of spice and fresh-turned earth, and a bright, high-acid finish. 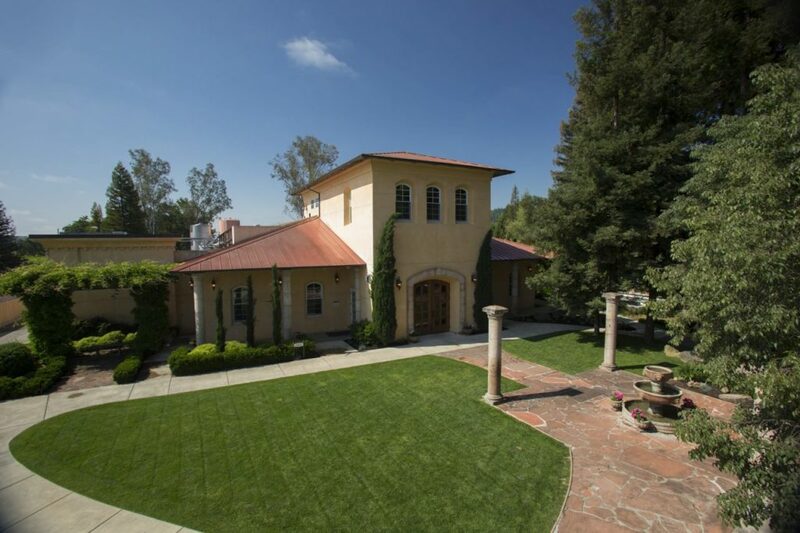 Carol Shelton Wines 2014 Florence Vineyard Dry Creek Valley Petite Sirah $40 Jack Florence’s vineyard produced this bold, spicy wine, which in the hands of winemaker Carol Shelton scored 95 points at NCWC. It’s jammy like a ripe Zinfandel, with black raspberry and blackberry fruit coated in melted chocolate and sprinkled with baking spice. The bright, crisp finish balances the richness. 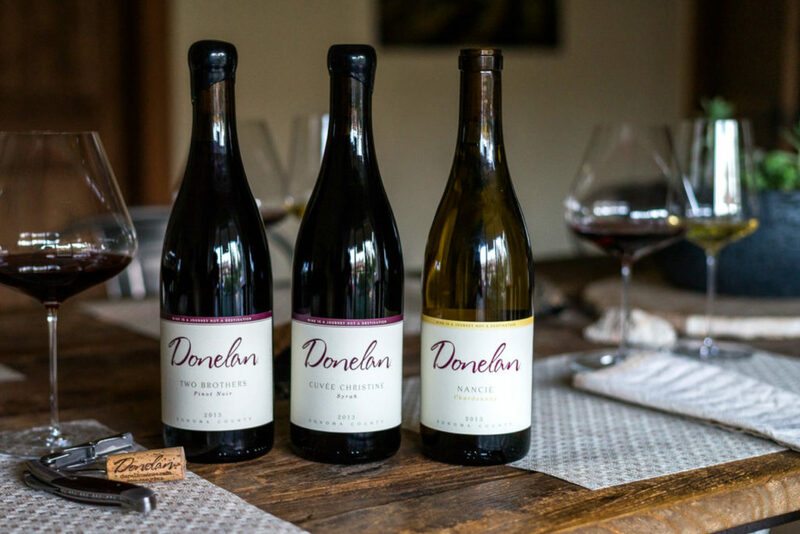 Donelan Family Wines 2014 Cuvée Christine Sonoma County Syrah $48 A cool-climate vineyard in Green Valley of Russian River Valley and a warm Knights Valley site contributed the grapes for this juicy, succulent Syrah with hints of salty prosciutto and roasted meat. Red berry and dark cherry fruit is well-ripened and generous, and the texture is suave, with a brisk finish. Francis Ford Coppola Winery 2015 Francis Coppola Nimble Vineyard Reserve Dry Creek Valley Syrah $38 Meaty and rich, it offers bright blackberry, blueberry, and dark plum fruit, with spicy oak notes and hints of worn leather and smoke. Best of Class winner at NCWC. 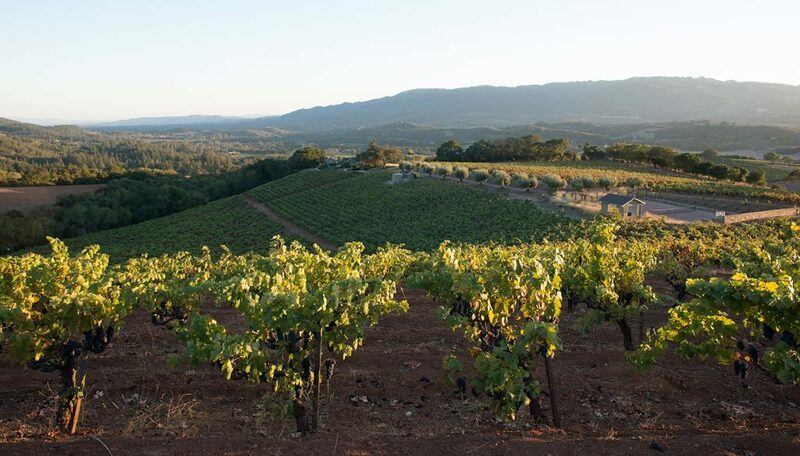 Mathis Wines 2015 Mathis Vineyard Sonoma Valley Grenache $32 Peter Mathis is a Grenache guru, and his expertise with the grape is apparent in this generous wine with vivid black raspberry, pomegranate, and plum flavors. It’s also earthy, smoky, and savory, motivating NCWC judges to award it 97 points. 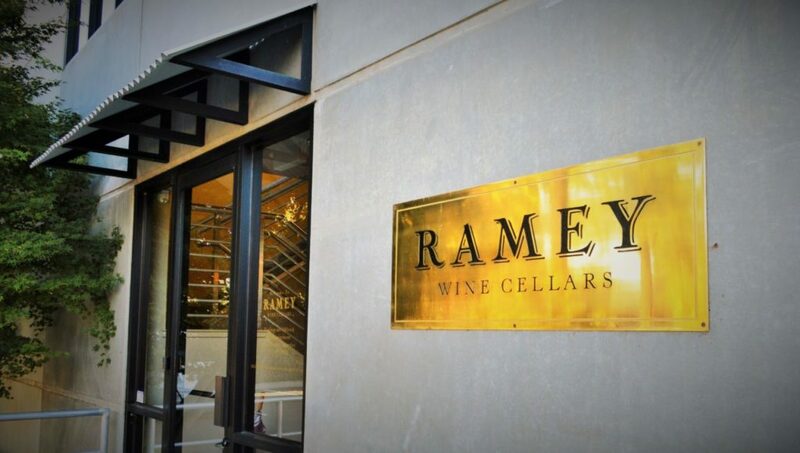 Ramey Wine Cellars 2014 Cole Creek Vineyard Russian River Valley Syrah $65 Syrah and 6 percent white grape Viognier were fermented together, a common technique in the Northern Rhône Valley, to enhance the aromatics. Layers of boldly flavored blueberry and blackberry fruit, charcuterie, leafy fresh herbs, and spice unfold in this cool-climate wine with slightly dusty yet supple tannins. 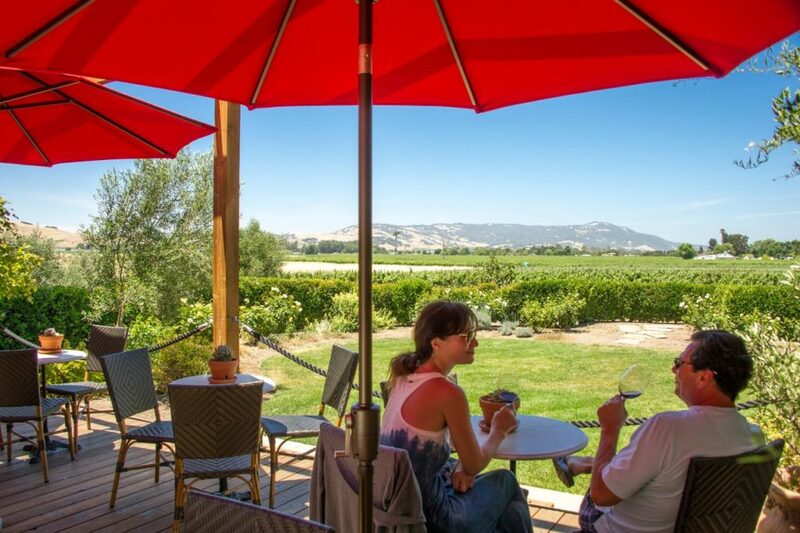 The Meeker Vineyard 2014 Hoskins Ranch Dry Creek Valley Grenache $38 Crisp acidity, firm tannins, and a core of juicy cherry, dark berry, and strawberry-rhubarb pie flavors make it a fine foil for a range of foods. 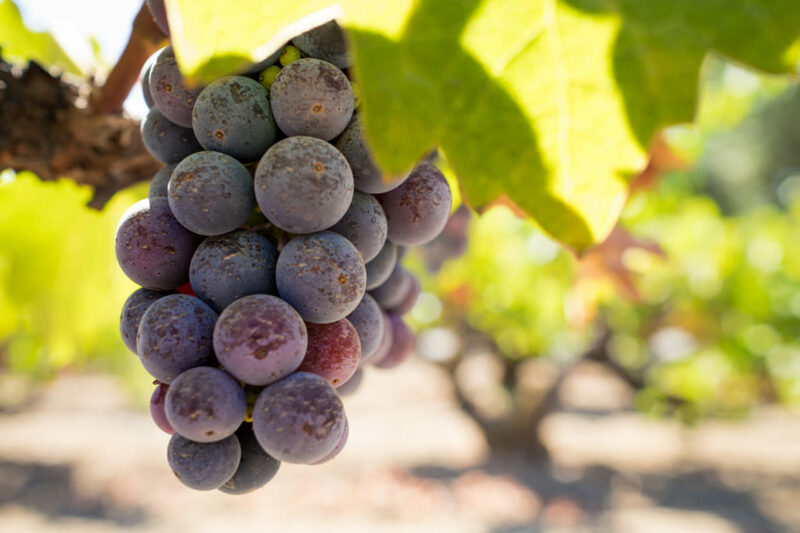 Grenache can be overripe and blowsy; this one has great structure and freshness, plus a complex savory component. Thirty-Seven Wines 2015 Sonoma Coast Grenache $26 Effusively floral, smoky, and richly flavored in juicy wild berry, pomegranate, and black raspberry fruit, it has the supple texture of a Pinot Noir and the tannins and acid structure of Merlot. 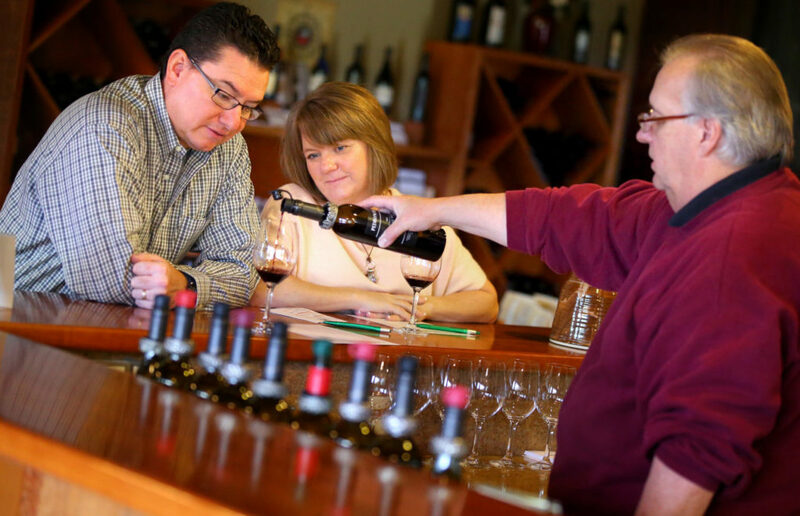 It’s a lot of wine for the price, and scored a lofty 98 points at NCWC. Dry Creek Vineyard 2015 Old Vine Dry Creek Valley Zinfandel $35 Intensely spicy and with a distinct dark chocolate streak, it brims with briary boysenberry and blackberry fruit. Supple tannins and midpalate richness are countered by a mouthwatering, juicy finish. 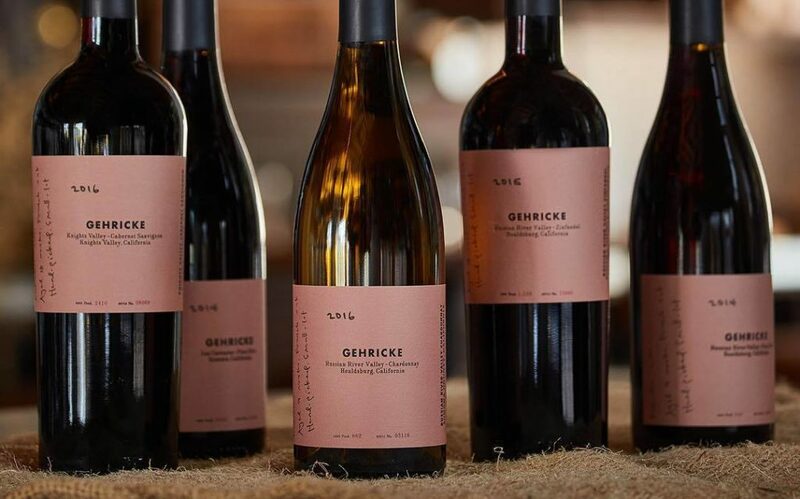 Gehricke Wines 2015 Russian River Valley Zinfandel $30 Gehricke is a new brand for August Sebastiani and his 3 Badge Beverage Corp. in Sonoma. 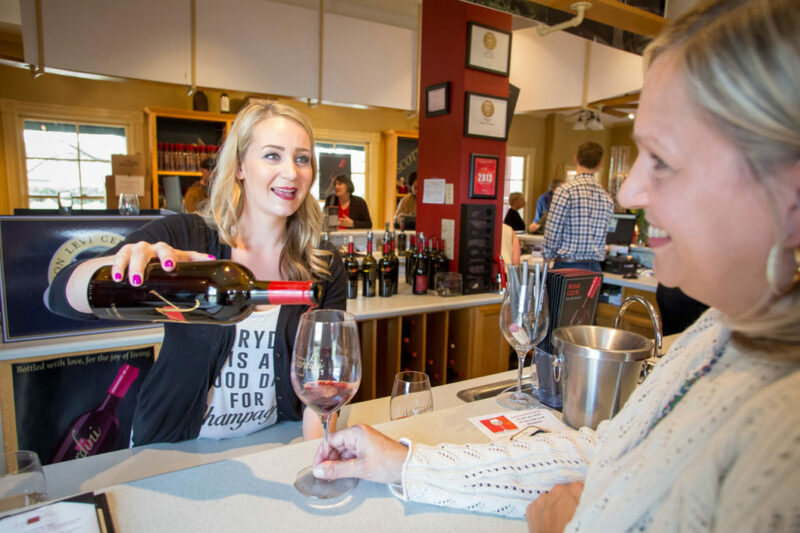 It’s an upgrade from lower-shelf, inexpensive wines to premium class, with grapes purchased from noted vineyards. 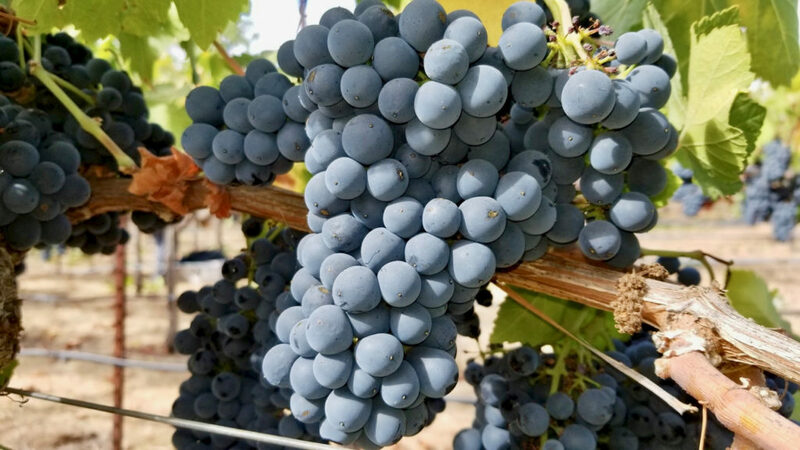 The Zin comes from the Ponzo Vineyard on the border of Russian River and Dry Creek valleys and has the site’s signature wild strawberry, cola, raspberry, and blueberry fruit profile. Muscardini Cellars 2015 Los Chamizal Vineyards Sonoma Valley Zinfandel $44 This is old-school, powerful, potent Zinfandel (15.2 percent alcohol) from a vineyard planted 800 feet above the city of Sonoma, some 50 years ago. The juicy, brambly blackberry and dark-cherry flavors are kissed with hints of brown sugar and vanilla, and the finish is reminiscent of chocolate-covered raisins. Pech Merle Winery 2015 Dry Creek Valley Zinfandel $23 John Pepe, who has 40 winemaking vintages under his belt, produced this full-bodied, jammy, grilled-meat-loving Zin with luscious blueberry, blackberry, and black cherry personality. 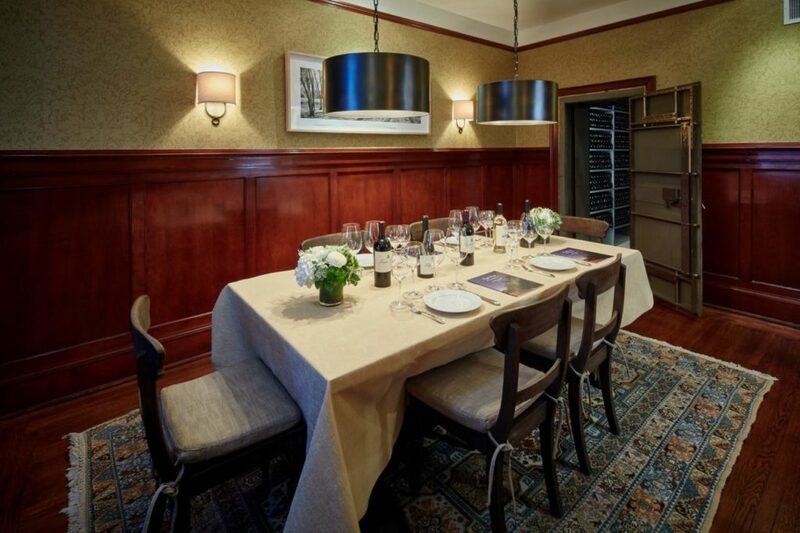 Hints of clove, anise, and mocha add interest, tying the wine to service with grilled lamb chops, sausages, and steaks. Pezzi King Winery 2015 Harris Kratka Vineyard Reserve Alexander Valley Zinfandel $48 NCWC judges awarded it 95 points for its vivid pepper and bakingspice notes, which come from oak barrels and the grape variety itself. Juicy blackberry and strawberry pie flavors also are laced with hints of mocha, sarsaparilla, and semisweet chocolate. 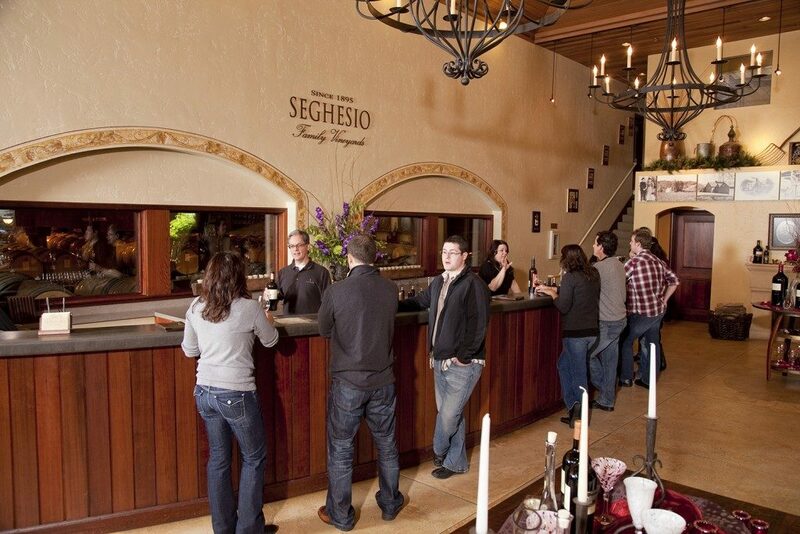 Seghesio Family Vineyards 2015 Old Vine Sonoma County Zinfandel $40 The average age of the Alexander Valley and Dry Creek Valley vines that contributed grapes to this wine is 70, and grower names include Passalacqua and Saini. “Veteran” vines produce painfully low volumes of gloriously intense grapes, and in 2015, Ted Seghesio turned them into a concentrated, brambly-berry, spicy wine that checks in at 15.4 percent alcohol, yet shows no heat on the long, juicy finish. St. Anne’s Crossing 2015 Los Chamizal Vineyards Sonoma Valley Zinfandel $38 A 97-pointer at NCWC, it offers sweet, ripe boysenberry fruit, with hints of raisin and melted dark chocolate. A crowd-pleaser, for sure, it’s reminiscent of the aromas that came from the Knott’s Berry Farm kitchen, where cinnamon-crusted pies were baked by the dozens. 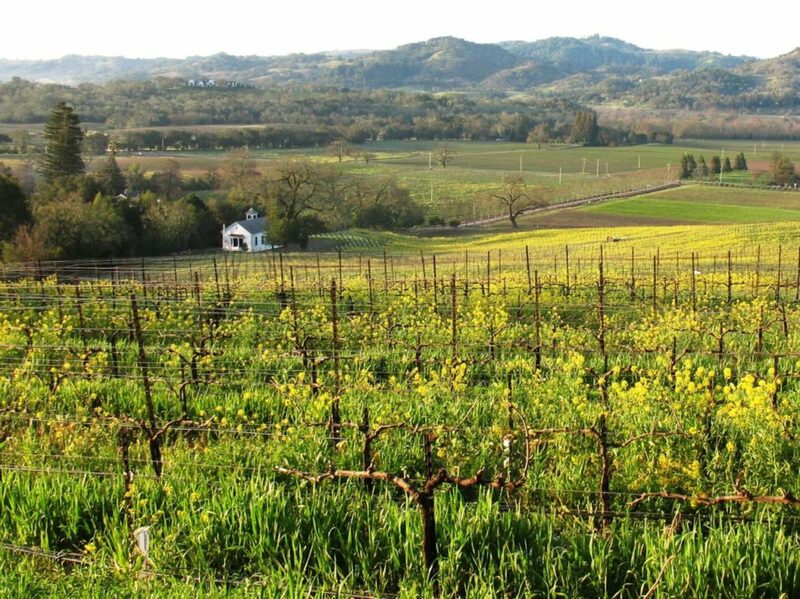 St. Francis Winery & Vineyards 2015 Old Vines Sonoma County Zinfandel $22 The minimum age of grapevines for this blend is 50 years; some plots are as many as 80 years old. Big and bold, its blackberry and dark cherry fruit is jammy and accented with vanilla, licorice, and black pepper. Wilson Winery 2015 Sydney Estate Dry Creek Valley Zinfandel $42 If big, rich, potent (15.6 percent alcohol), black-fruited Zinfandels are your thing, this one’s an NCWC 97-pointer for you. Wild blackberry and dark plum flavors are super-ripe and jammy, yet there’s enough acidity and tannin structure to maintain balance. Lavishly oaked with vanilla and spice, it’s a signature style for Wilson. 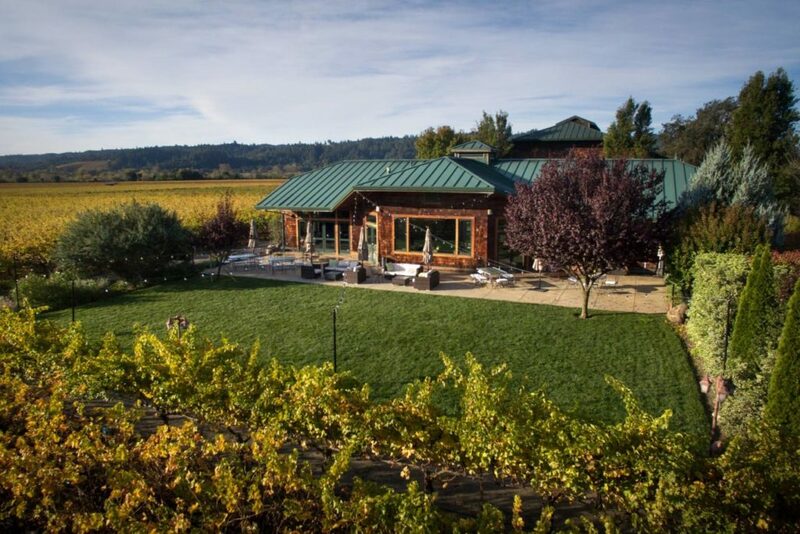 Alexander Valley Vineyards 2015 Estate Alexander Valley Cabernet Sauvignon $32 Winemaker Kevin Hall continues to lift AVV’s game, making the finest wines in this producer’s long history (its first Cab was bottled in 1968). The 2015 is 100 percent Cabernet Sauvignon, from a certified organic vineyard, and redolent in lively dark cherry and boysenberry flavors. 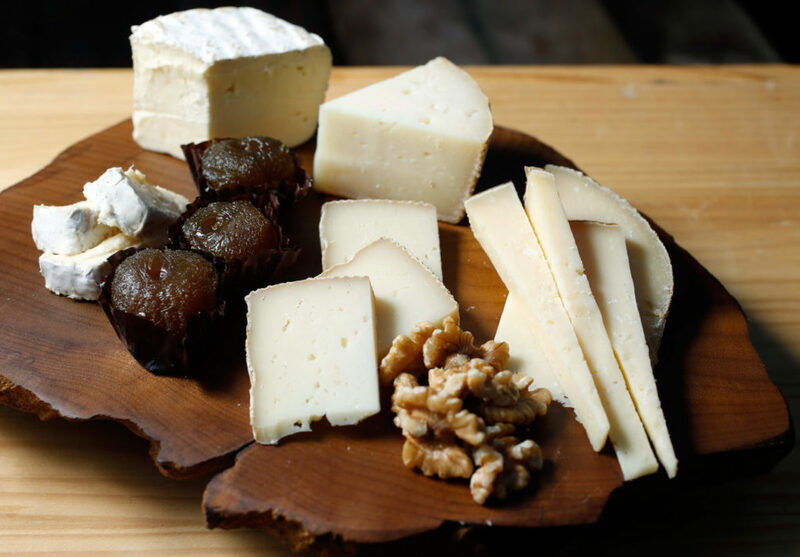 Judicious use of oak lets the concentrated fruit shine, adding a hint of spice but not overt toastiness. 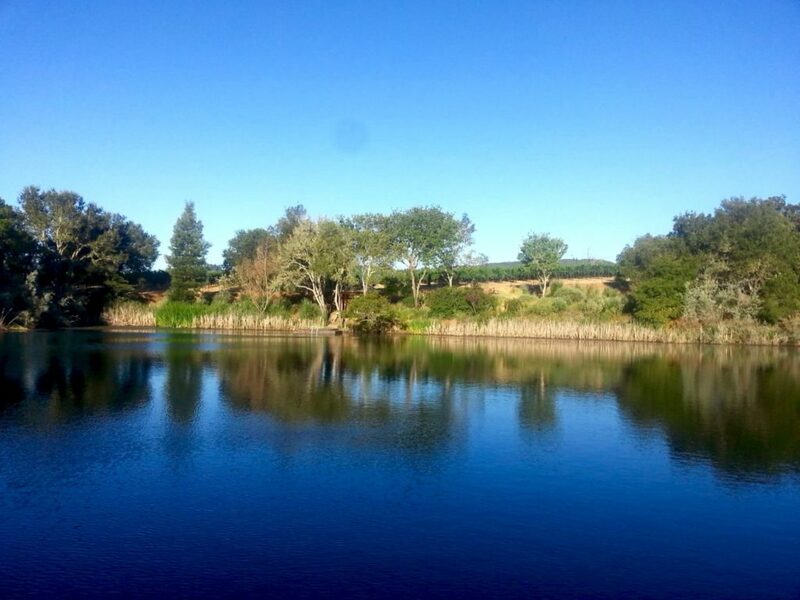 Amapola Creek Vineyards & Winery 2014 Sonoma Valley Cabernet Sauvignon $90 Richard Arrowood, of Chateau St. Jean and Arrowood Vineyards fame, rather quietly produces exceptional wine from his and wife Alis’ organic vineyard in the relatively new Moon Mountain District AVA of Sonoma Valley. Despite this wine’s bold dark-fruit flavors and significant palate weight, it’s also remarkably polished and elegant, with a hint of dusty mountain minerality. Arbor Bench Vineyards 2013 Dry Creek Valley Cabernet Sauvignon $49 Rich, almost jammy, and easy to drink now, this NCWC 95-pointer offers savory cedar, pepper, and sage in the aromas, followed by layers of plush, ripe black cherry, black raspberry, and dark plum flavor and a slightly creamy café au lait middle. Clos du Bois 2014 Briarcrest Alexander Valley Cabernet Sauvignon $60 Varietally true aromas of cedar, pepper, and blackcurrant lead to a mouthful of luscious black cherry, blackberry, mocha, and espresso, framed by toasty oak and grippy tannins. 95 points at NCWC. Clos du Bois 2014 Alexander Valley Marlstone Red Blend $60 The majority of this proprietary blend is Cabernet Sauvignon, with splashes of Merlot, Petit Verdot, Malbec, and Cabernet Franc. Its intense blueberry and blackberry fruit, notes of cedar, mocha, and tobacco leaf, and juicy palate impressed NCWC judges so much that they awarded it 96 points. deLorimier Winery 2014 Dry Creek Valley Cabernet Sauvignon $58 Bright and lively red fruits (cherry and berry) are kissed with subtle notes of espresso bean and spice, with orange rind on the long, generous finish. Scored 95 points at NCWC. 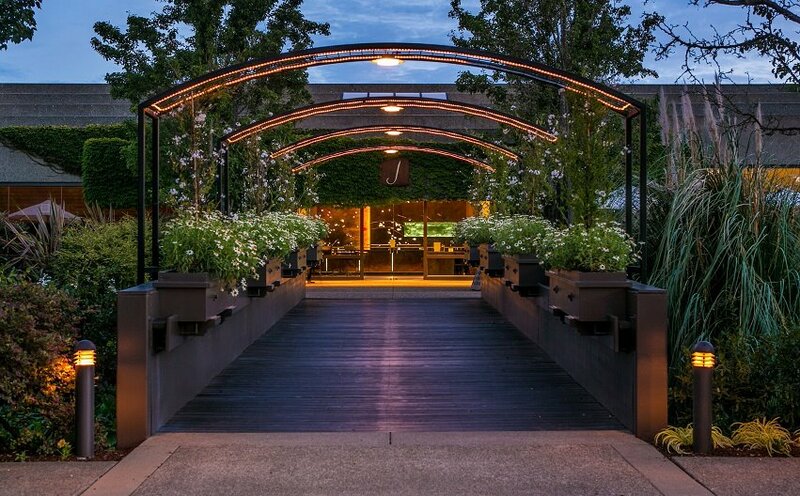 Jordan Winery 2015 Alexander Valley Cabernet Sauvignon $56 Jordan always swims against the tide, eschewing overt oak and overripeness in the grapes. This wine is more elegant and Bordeaux-like than most from California, with reasonable alcohol (13.8 percent), subtle hints of herbs and spice, and fresh, pristine blackberry, black currant, and plum aromas and flavors. Stick it in the cellar for a decade or more. Laurel Glen Vineyard 2014 Sonoma Mountain Cabernet Sauvignon $75 This is an iconic Sonoma wine with a track record of aging gloriously for decades. It offers classic Cabernet characteristics of forest floor, subtle leafy herbs, and concentrated dark berry and dark cherry fruit. It has admirable freshness and elegance for a mountain-grown wine. Forefathers 2015 Lone Tree Vineyard Alexander Valley Cabernet Sauvignon $65 Nick Goldschmidt produces an array of wines under several brands, and his Forefathers label is reserved for special sites. Lone Tree is one of them, located northeast of Geyserville, at 800 feet elevation. In 2015, it produced this bold, exuberantly fruity wine with violet aromatics, ripe blackberry and black cherry flavors, and youthful tannins. 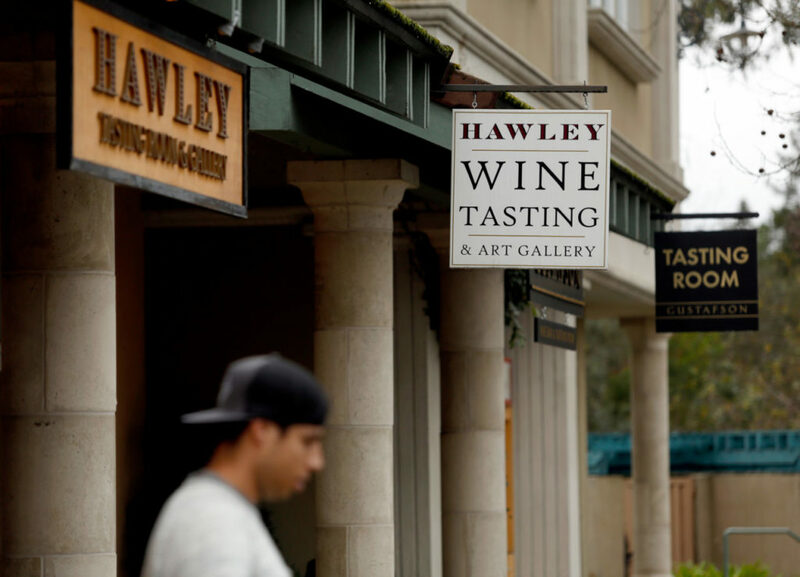 Hawley Vineyards 2015 Hawley Vineyard Dry Creek Valley Cabernet Sauvignon $52 Made with organically grown grapes, it’s packed with dark fruit — blackberry, dark plum, and blueberry — yet 20 percent Cabernet Franc adds a floral note to the aromas and brightness to the palate. Low in oak influence and high-acid structure, it’s a baby certain to age nicely with cellaring. 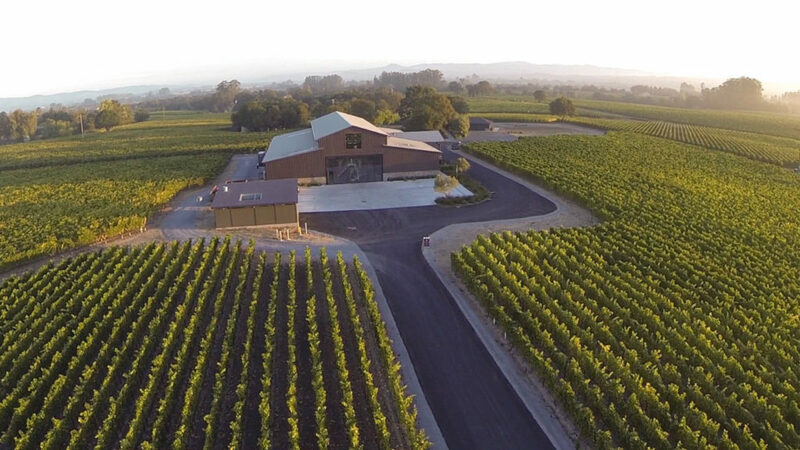 Knights Bridge Estate 2015 Knights Valley Cabernet Sauvignon $120 A relative newcomer in the Knights Valley wine game, this producer takes advantage of an impressive array of soil types and row orientations to make this layered, distinctive wine with volcanic, loam, and alluvial character. Blackcurrant fruit, savory earth and oak, and firm yet pliant tannins make this one to watch. Pedroncelli Winery 2015 Estate Block 007 Dry Creek Valley Cabernet Sauvignon $26 In an age when many California Cabs have had their savory character masked by oak and ripeness, this one is unabashedly earthy and slightly herbal, with accents of concentrated dark fruit and vibrant acidity. Excellent value. Rodney Strong Vineyards 2015 Sonoma County Cabernet Sauvignon $20 Pure Cabernet pleasure comes at a darn good price with this approachable wine that’s usually discounted to $14-$15. Luscious blackberry and black cherry flavors, oak spice, bittersweet chocolate, and supple texture are the hallmarks of this medium-bodied, enjoy-now wine. St. Francis Winery & Vineyards 2015 Lagomarsino Vineyard Russian River Valley Cabernet Sauvignon $68 Cab from Russian River Valley? You bet, when it’s from the warmest part of the AVA, near Healdsburg. There is a distinct red-cherry character to this wine, and that cherry is covered in melted dark chocolate. Fresh black raspberry, too. It’s a bright, juicy wine, mediumfull- bodied, and with plenty of energy. Trentadue Winery 2015 La Storia Block 500 Alexander Valley Merlot $28 NCWC judges loved this 99-point wine for its sweet vanillin oak wrapping around perfectly ripe plum and black cherry fruit. Firmly tannic and with crisp acidity, it’s youthful and a bit tight now, but six more months in the bottle will soften it a bit. For now, think grilled ribeye. Imagery Estate Winery 2015 Pine Mountain-Cloverdale Peak Sangiovese $42 It scored an impressive 97 points at NCWC for its “real deal,” sour cherry, ripe plum, and blackberry fruit, perfectly in balance with acidity and tannin. The finish lasts for 20 seconds or more. Imagery Estate Winery 2015 Pine Mountain-Cloverdale Peak Barbera $42 At 97 points, this was a finalist for Best of the Best wine at NCWC, eventually losing to a 100-point Pinot Noir. It shows the softer side of Barbera, yet with crisp acidity that is the signature of the grape. The red and black fruit flavors are plump and generous. 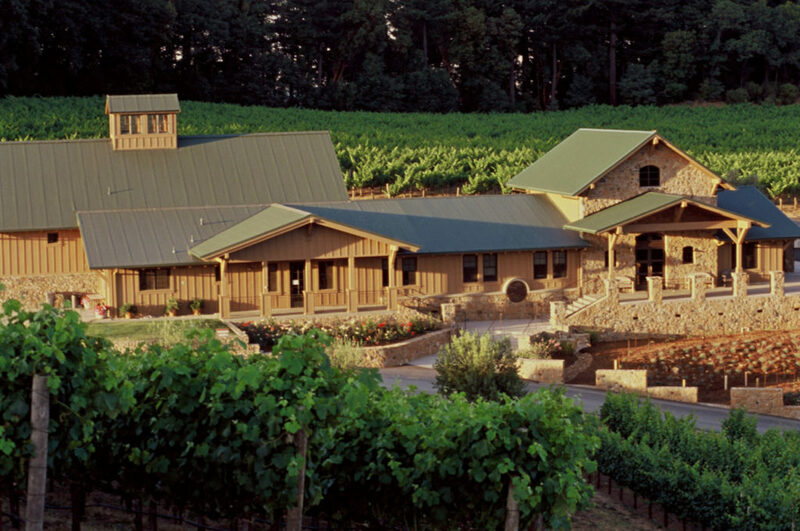 Imagery Estate Winery 2015 Pine Mountain-Cloverdale Peak Tusca Brava $57 Winemaker Joe Benziger mimics an Italian Super Tuscan wine by blending Sangiovese, Malbec, Merlot, and Cabernet Sauvignon. Also scoring 97 points at NCWC, Tusca Brava is lip-smackingly juicy and rewarding, with black cherry, dark berry, and plum fruit, a hint of spice, lush texture, and palate-whisking acidity from Sangiovese.